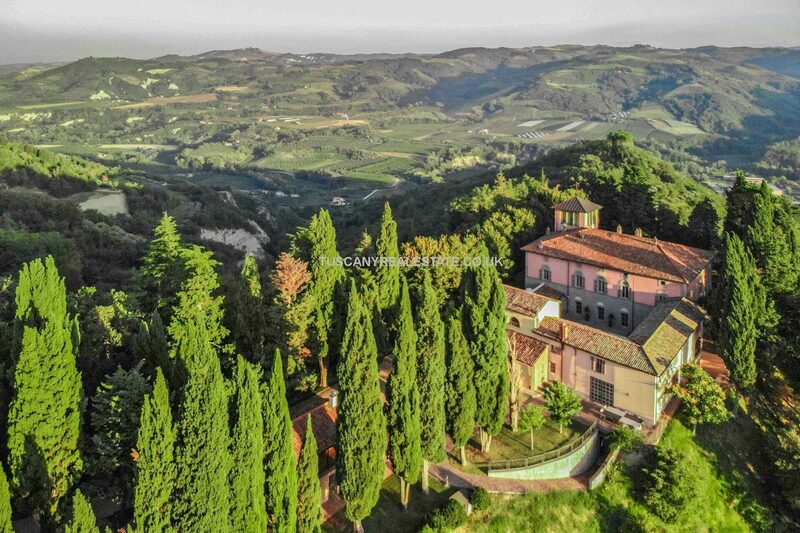 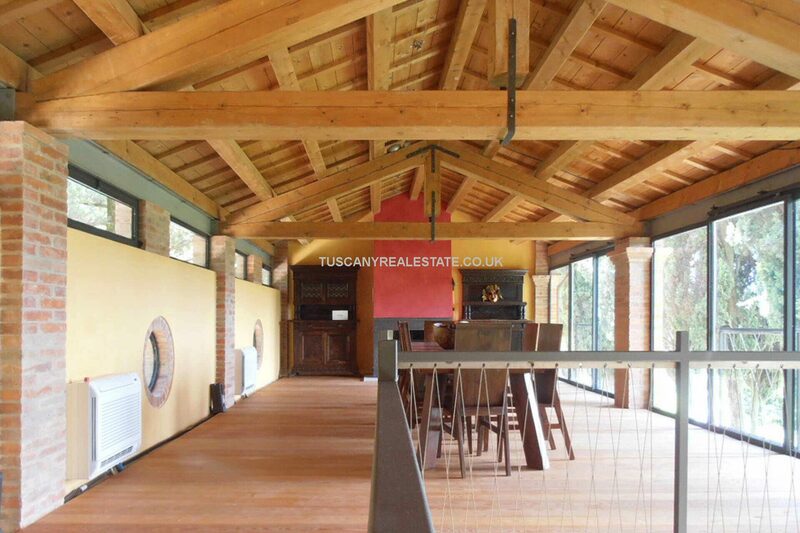 Organic farm and wine estate in Italy for sale. 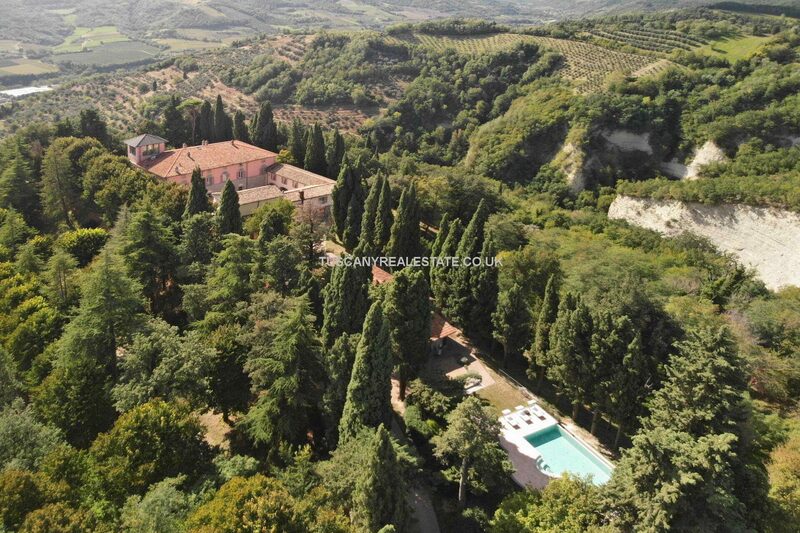 Distant sea views, Agriturismo /boutique B&B, vineyard and olive grove, 32.5 hectares land. 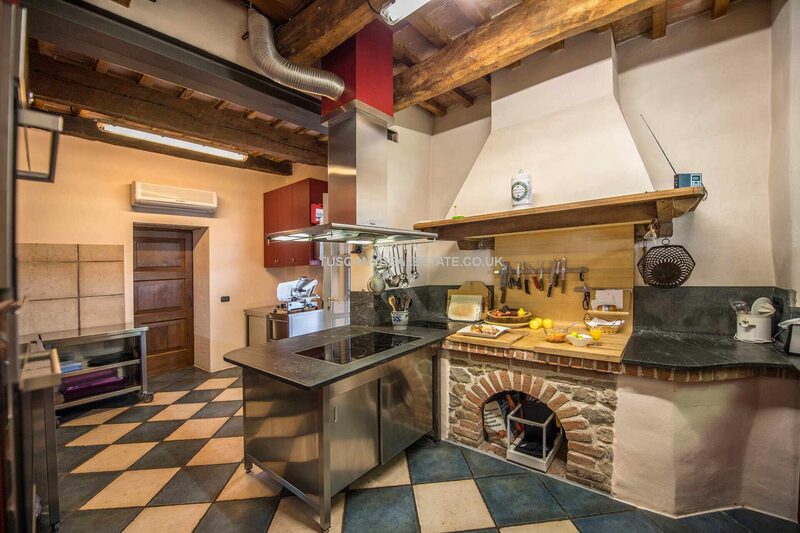 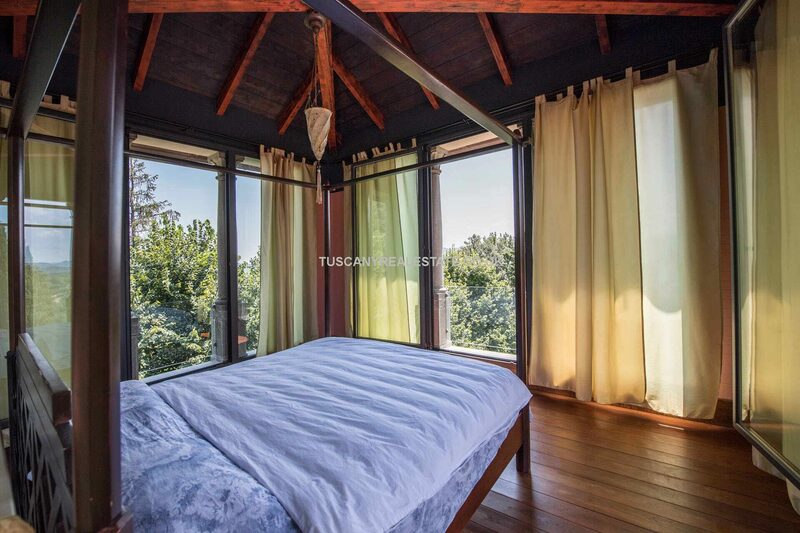 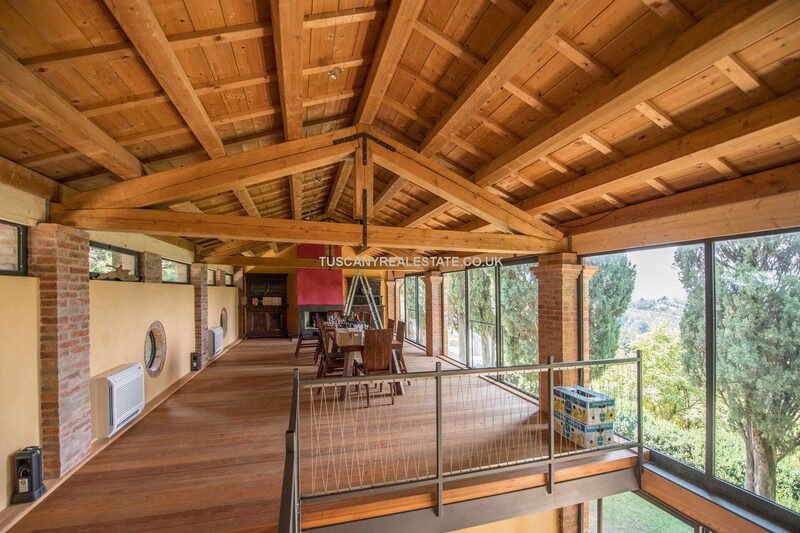 A superb eco-friendly property in Emilia Romagna. 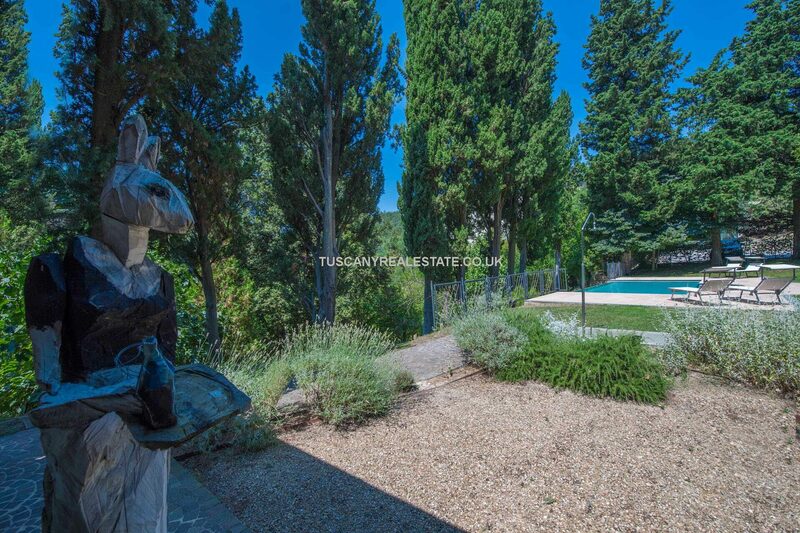 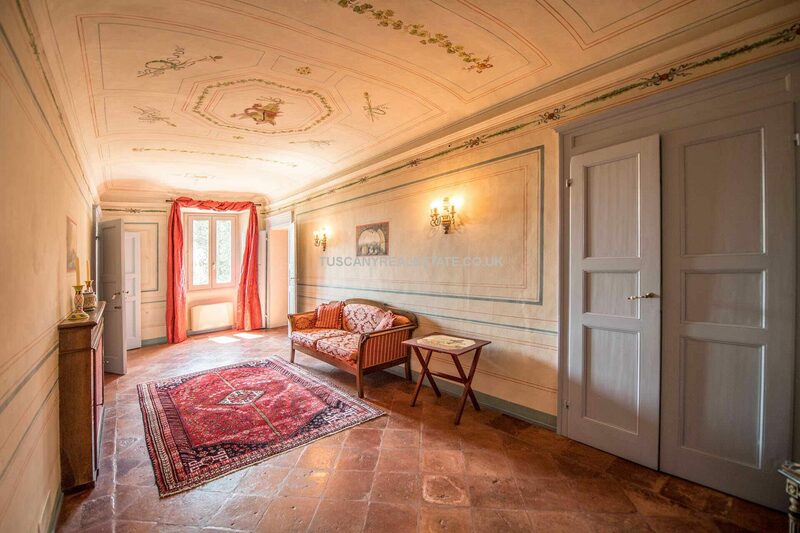 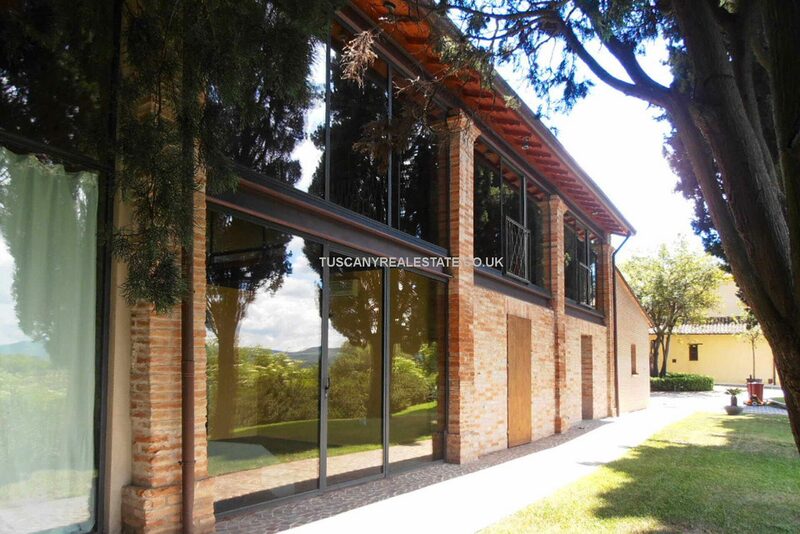 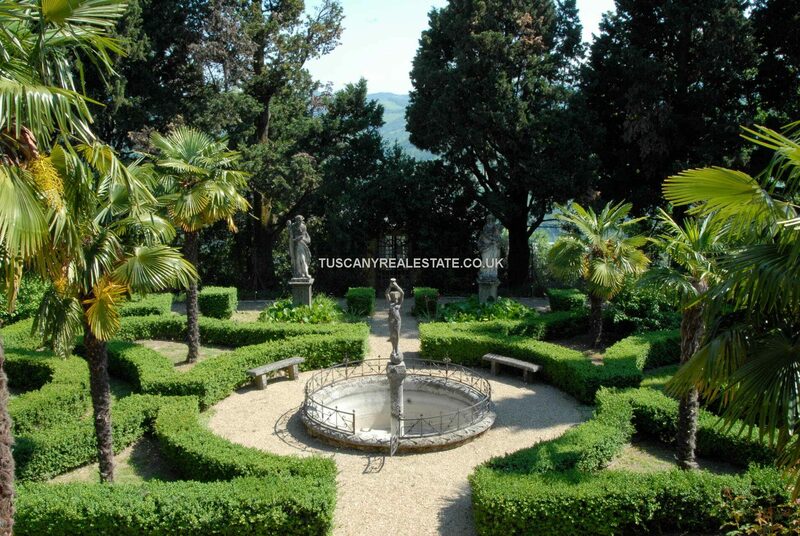 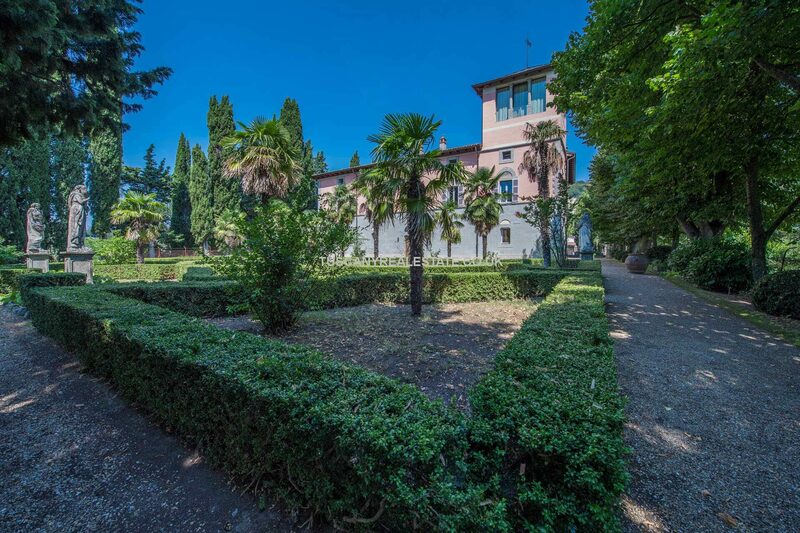 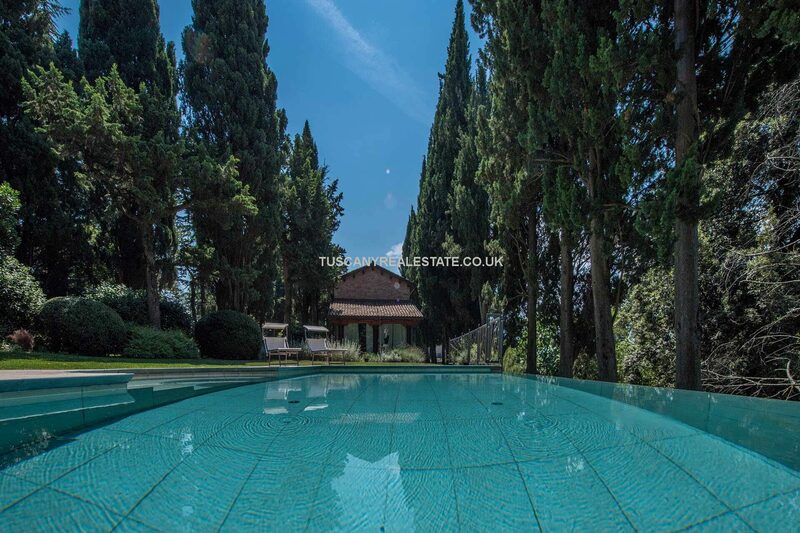 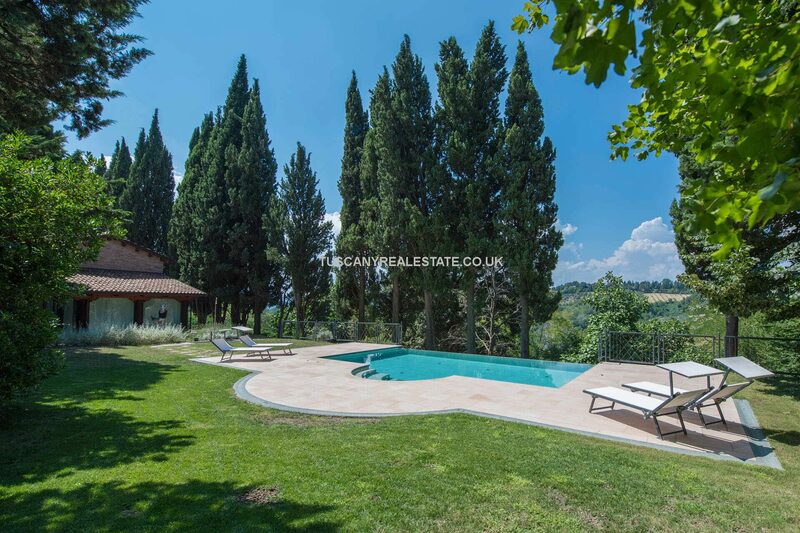 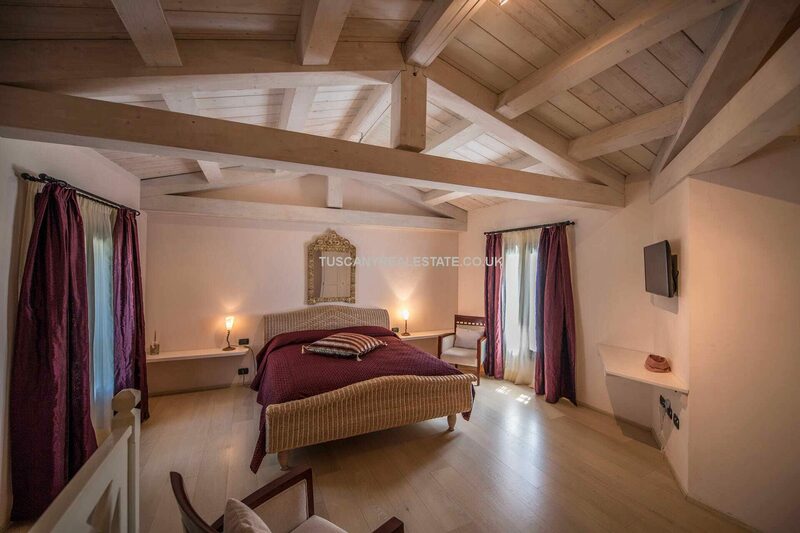 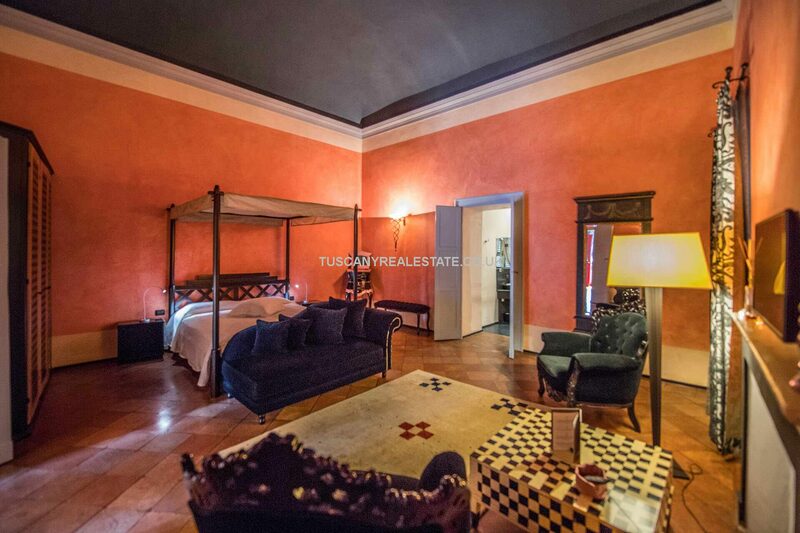 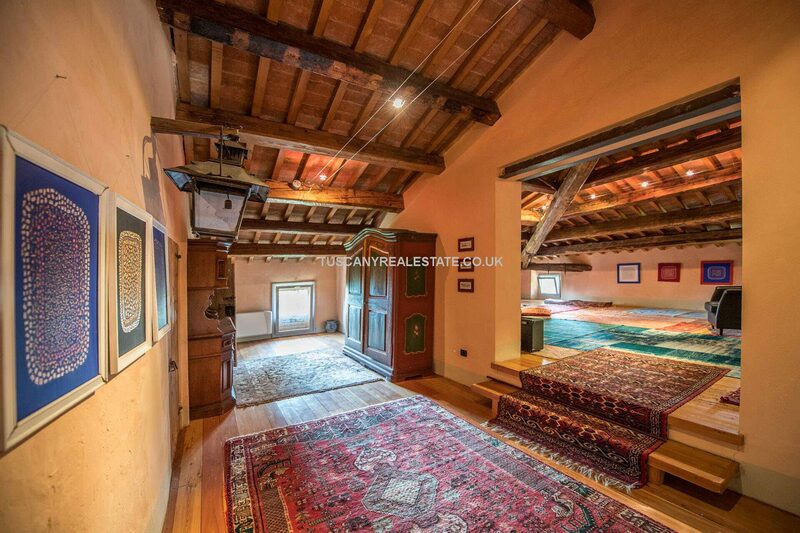 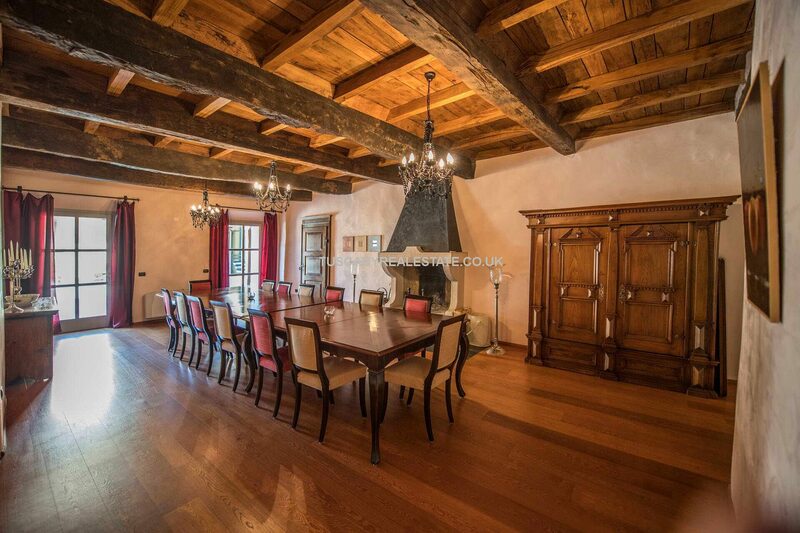 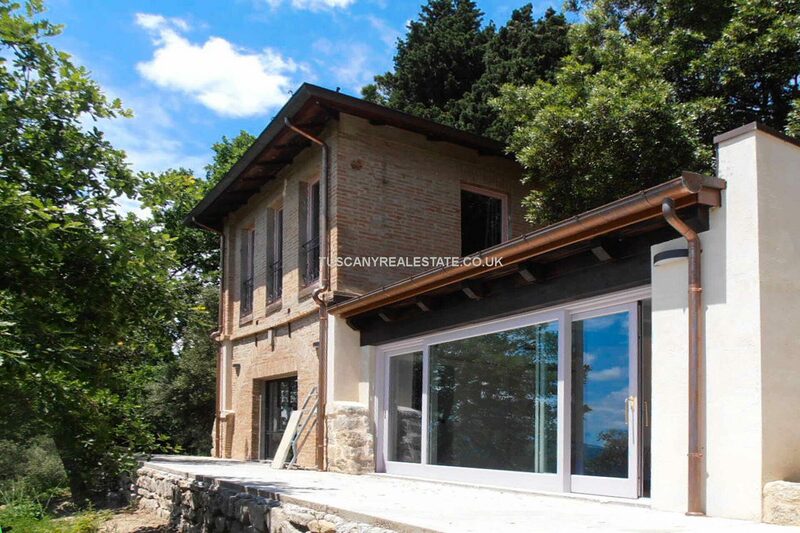 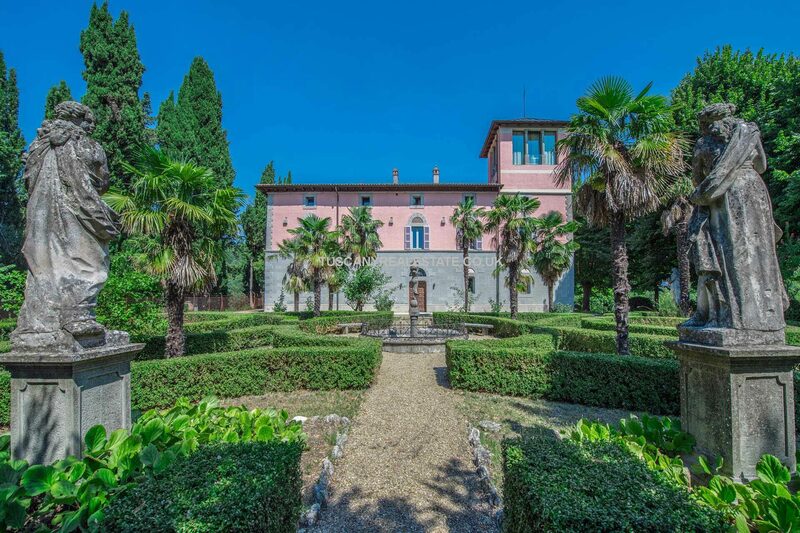 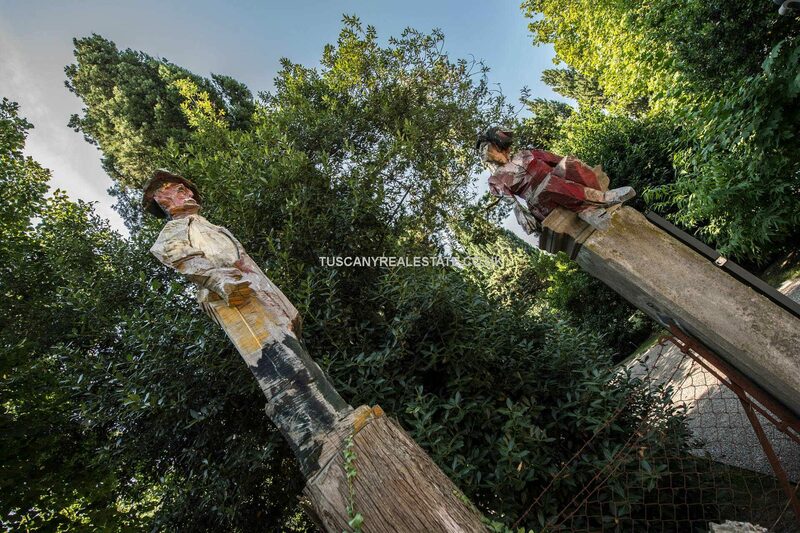 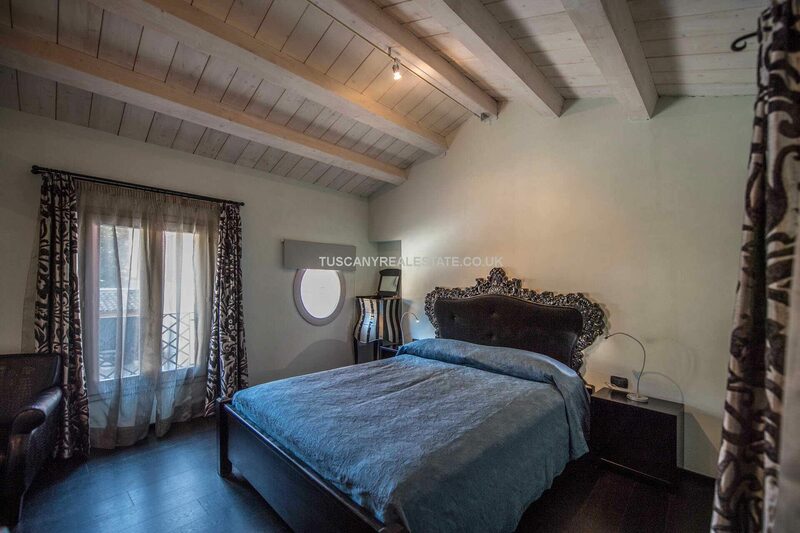 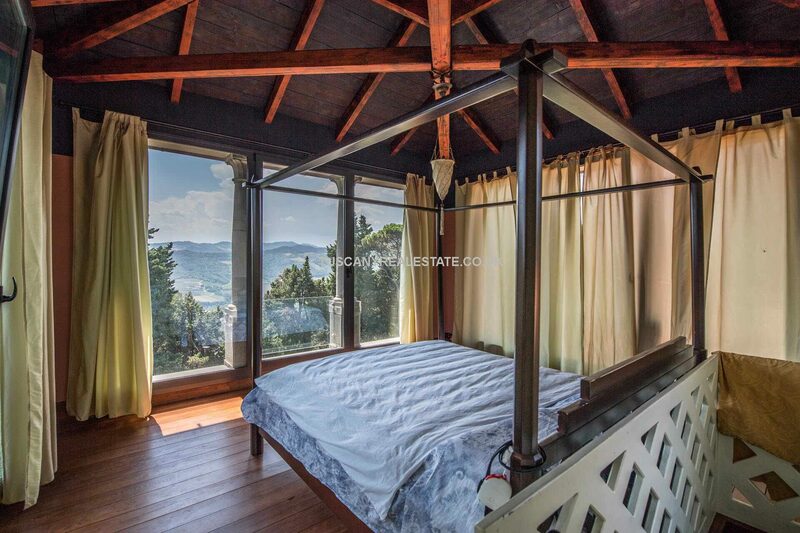 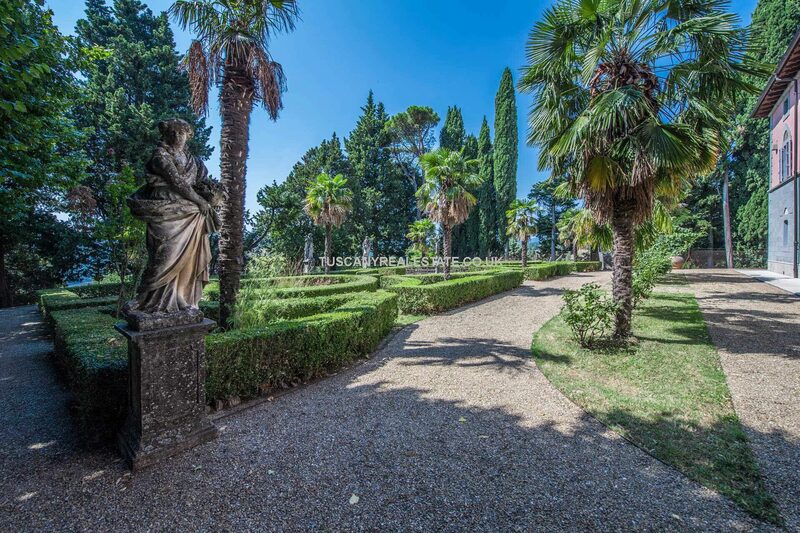 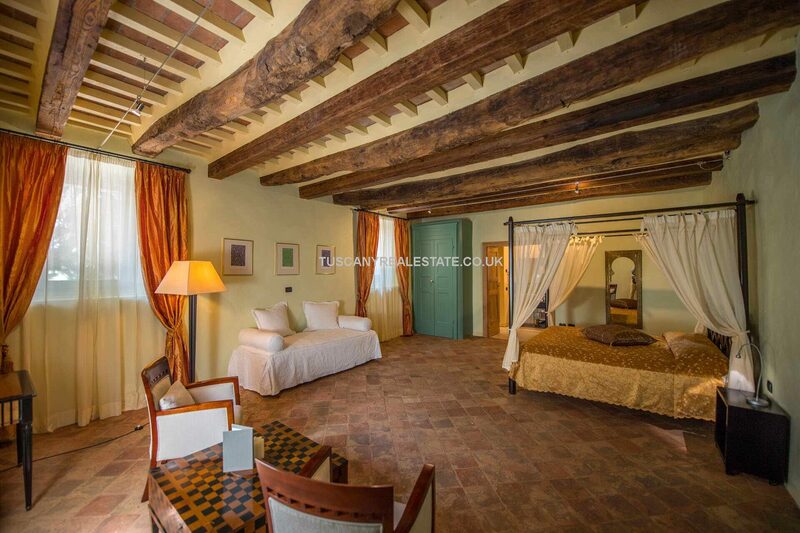 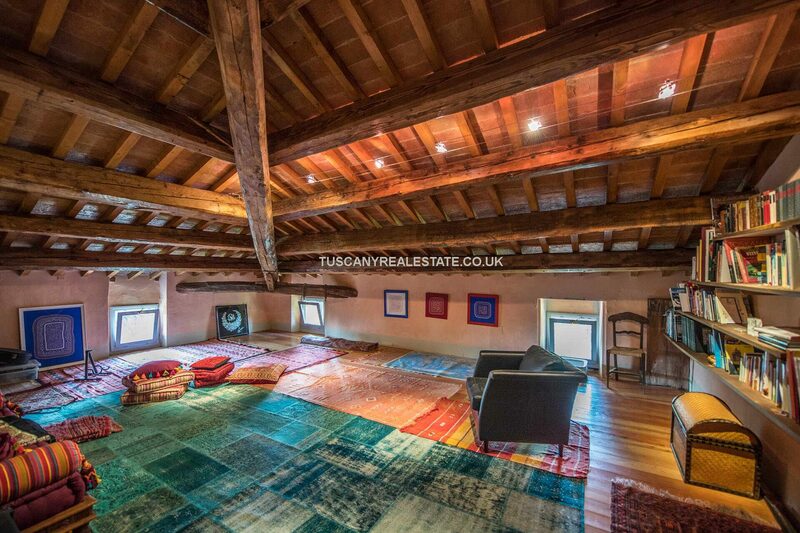 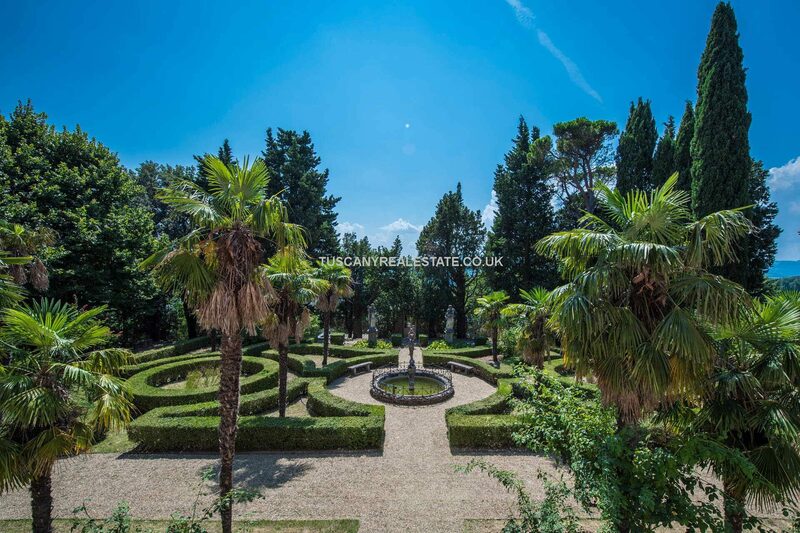 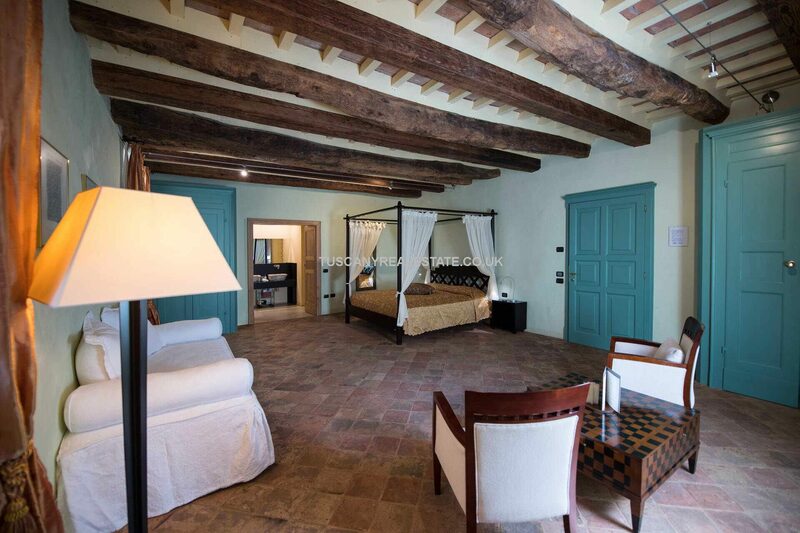 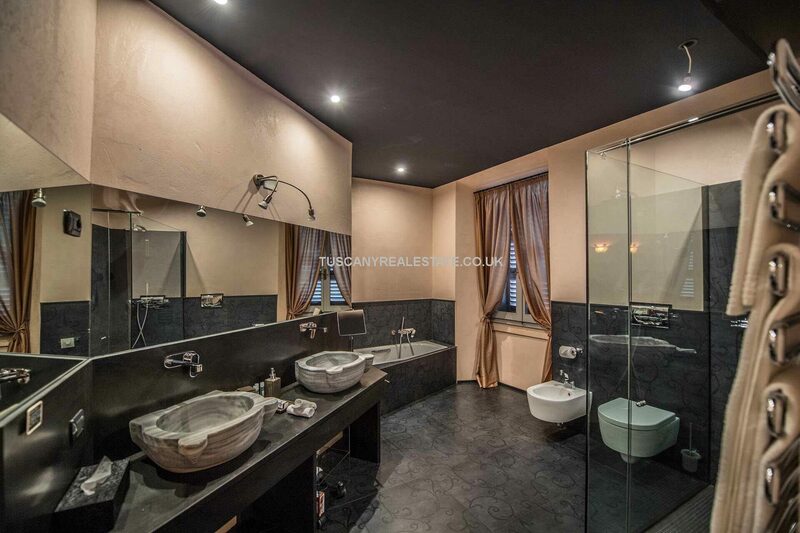 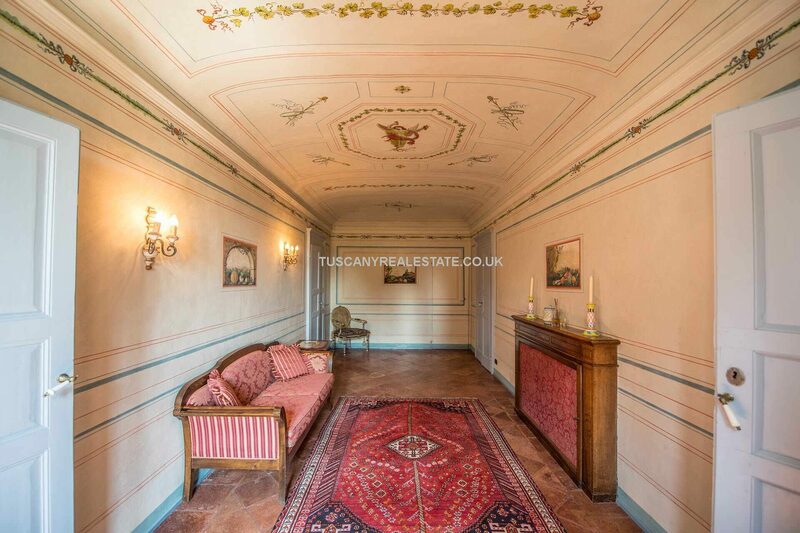 A superb country home with various income streams for sale in Italy. 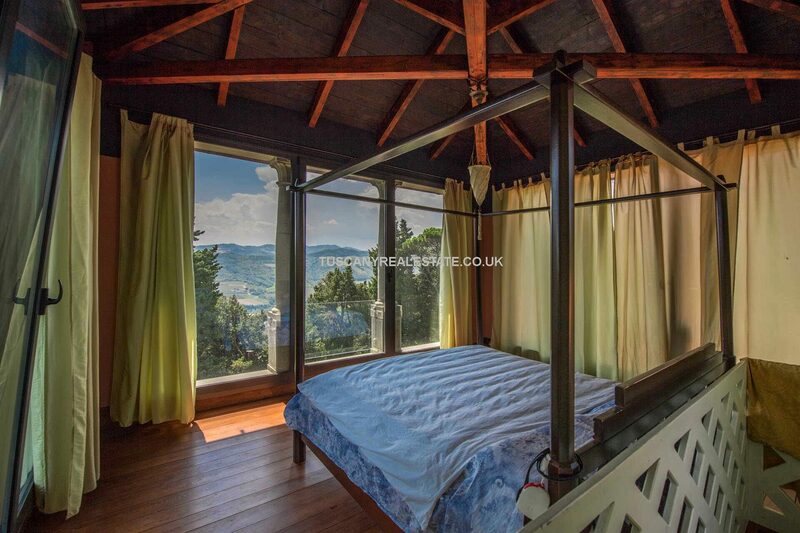 Very private with superb long ranging views down to the sea. 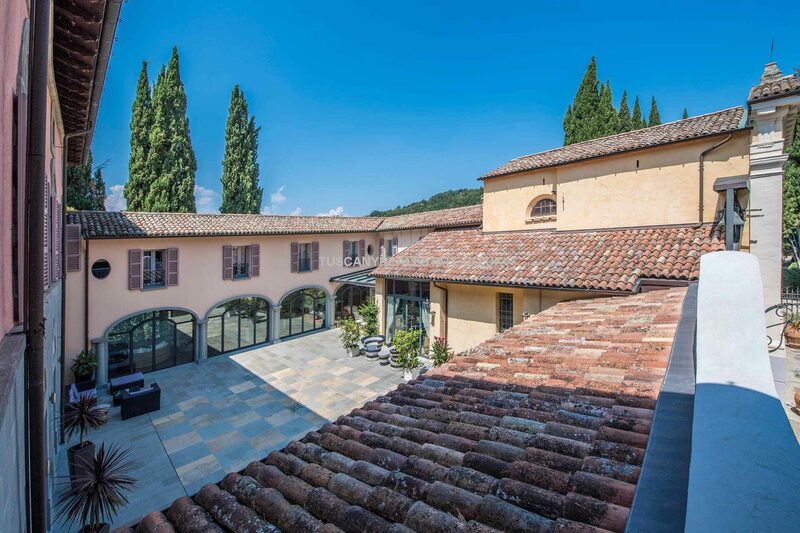 The manor house (722 square meters) is unchanged in shape since the mid-eighteenth century but has been completely renovated to comply with current anti-seismic standards, without altering the appearance and transforming it into a house adapted to modern luxurious living with underfloor heating and air conditioning. 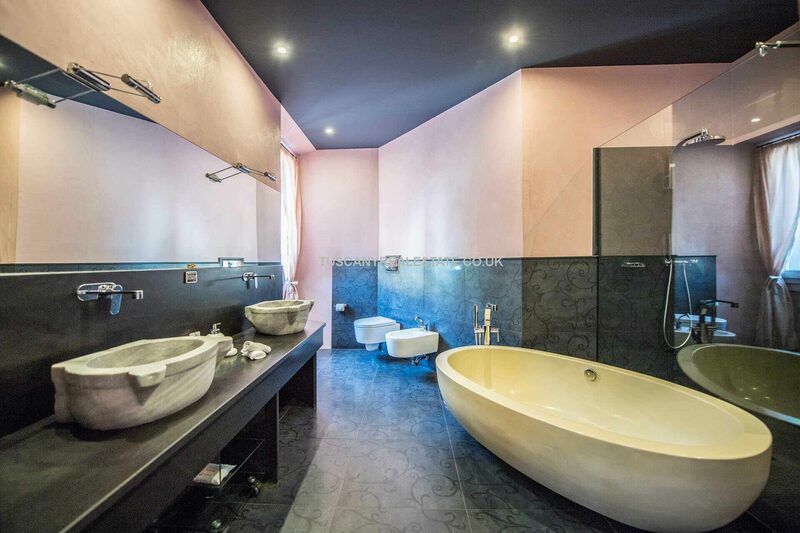 Among the finishes we find are lime plasters by hand and natural colours without solvents and fine ceramics in the bathrooms. 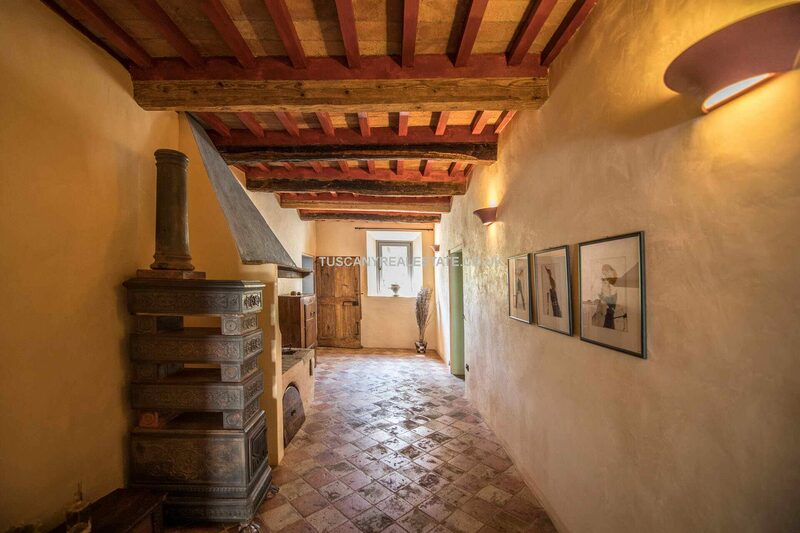 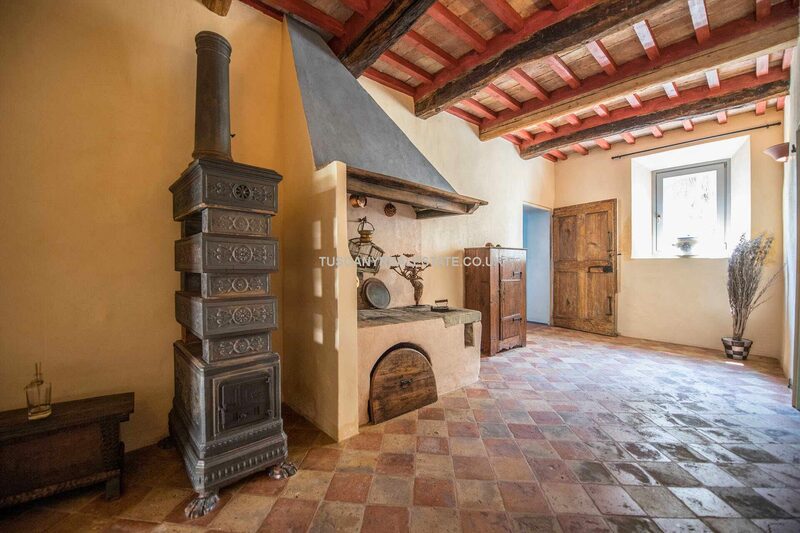 The hand-made terracotta and parquet in the floors transmit an inimitable warmth. 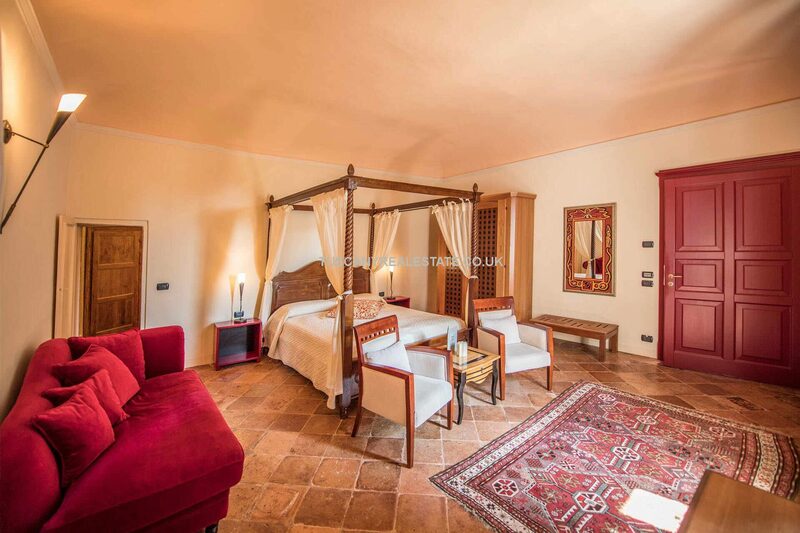 The different colours of warm tones convey a welcoming atmosphere. 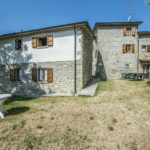 On the ground floor, there is an entrance hall, a dining room with wooden floor and ceiling, a very modern professional kitchen with pantry, a living room with a large fireplace, two toilets and a large room with en-suite bathroom suitable for wheelchair use. 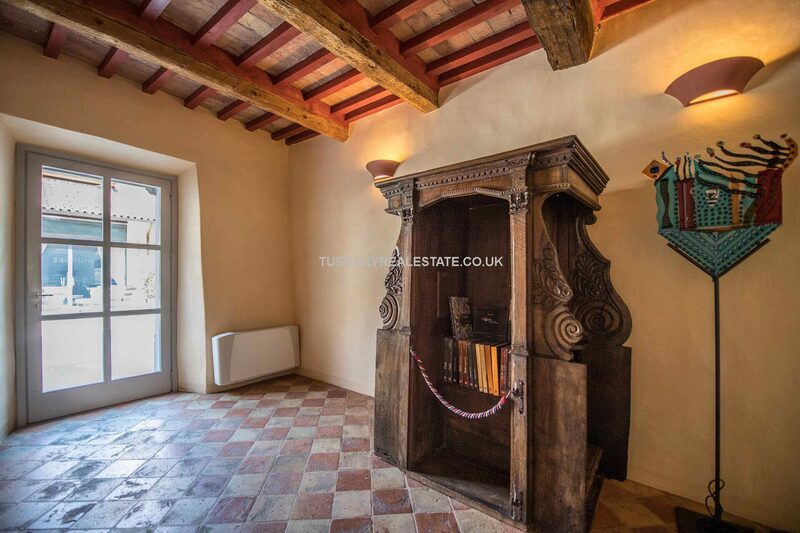 Going upstairs we find a small library and four large double bedrooms with en-suite bathrooms. 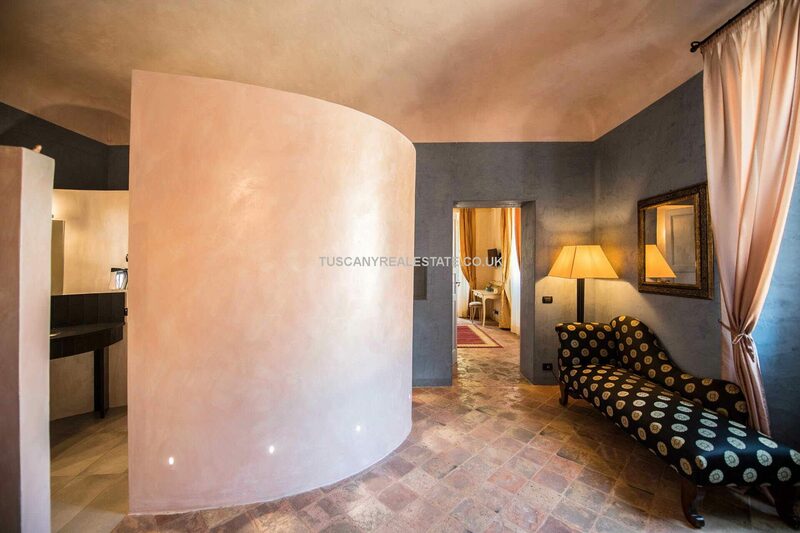 The second floor is occupied by a large lounge, a room with en-suite bathroom and the large master apartment with living room, huge bathroom and the ladder to the turret that houses the bedroom with 360-degree panoramic windows that sweep up to the littoral . 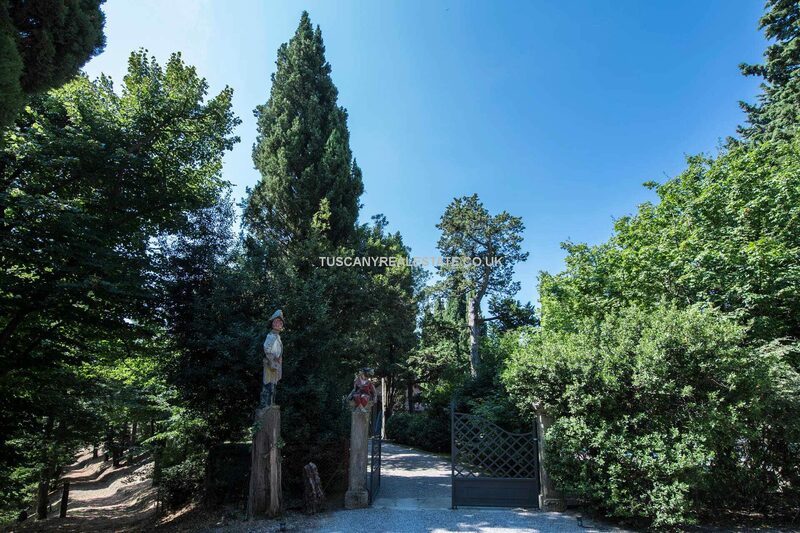 The internal courtyard is accessible from the north and from the east through two spectacular gates decorated with the property logo silhouettes. 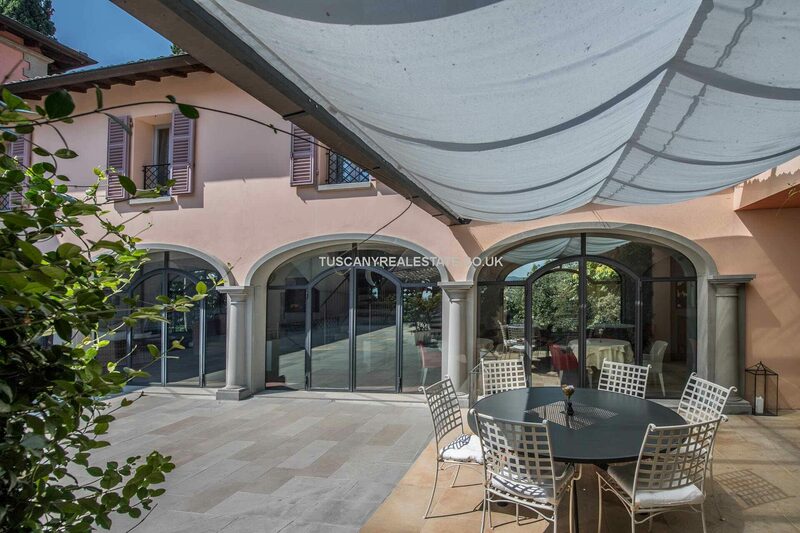 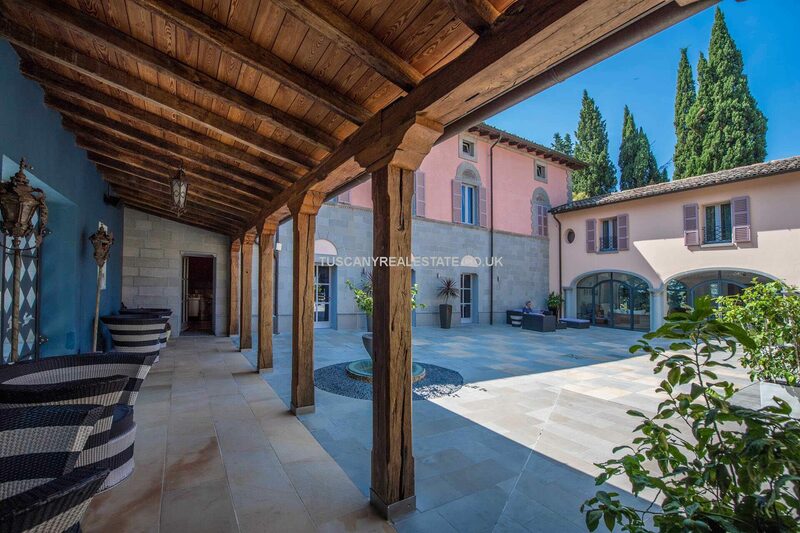 Connected to the manor house villa on the west side of the courtyard is a building with a portico (294 sqm) which has been entirely rebuilt and has large windows giving a bright and airy feel. 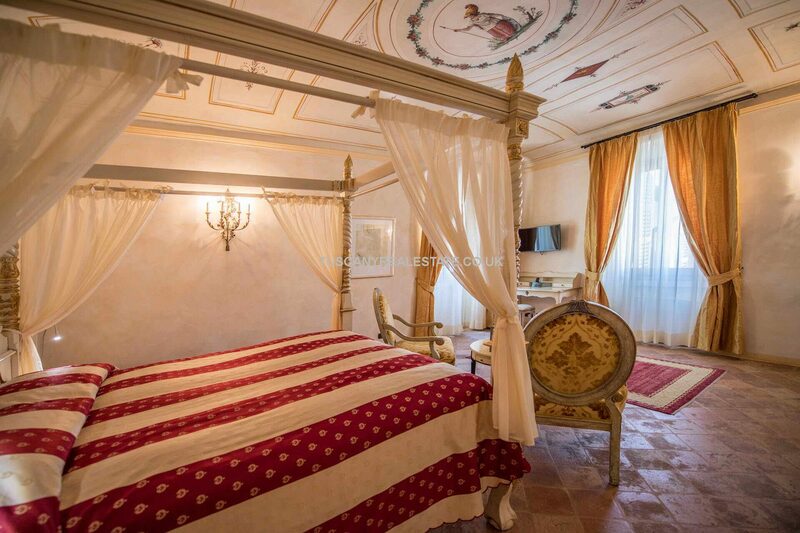 On the ground floor, there is a lounge and breakfast room, while the upper floor houses three suites with private bathroom. 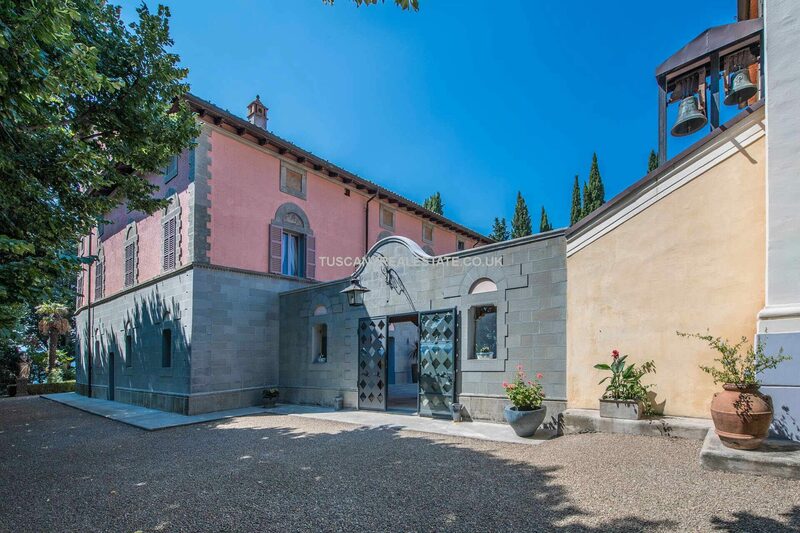 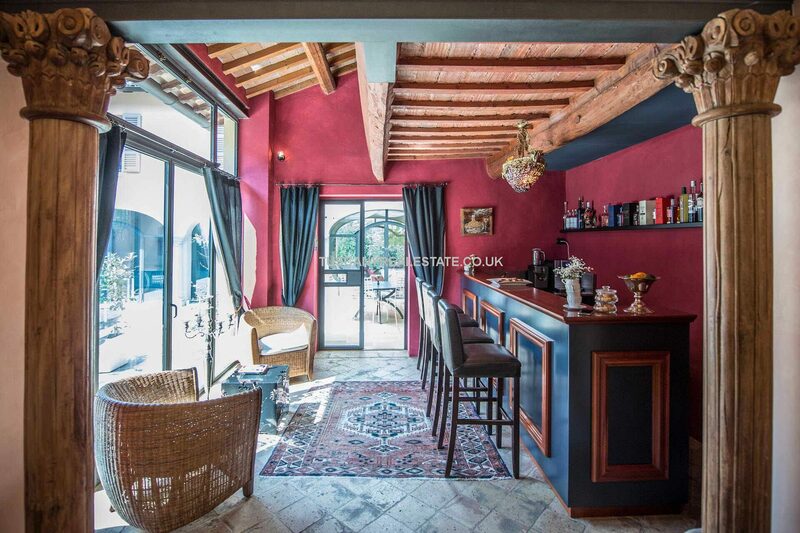 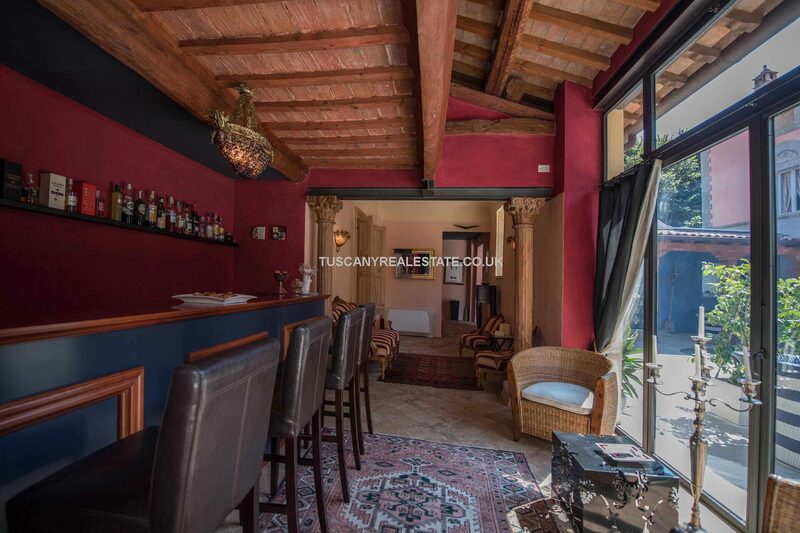 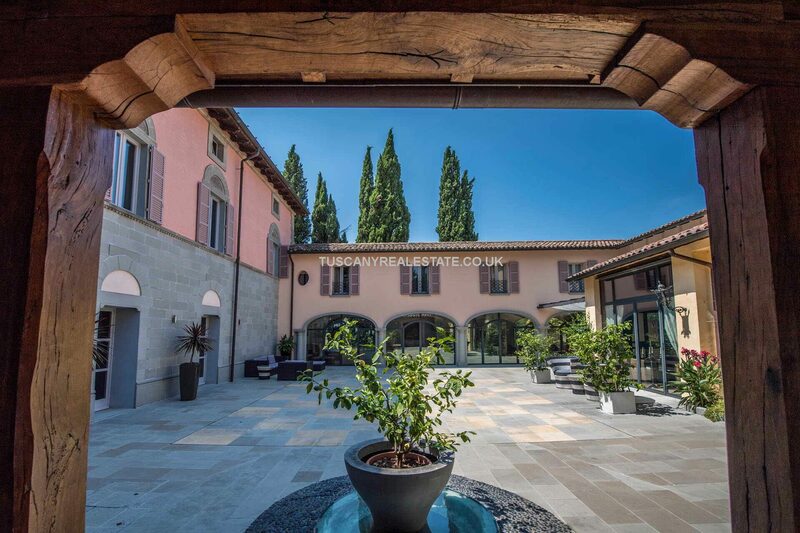 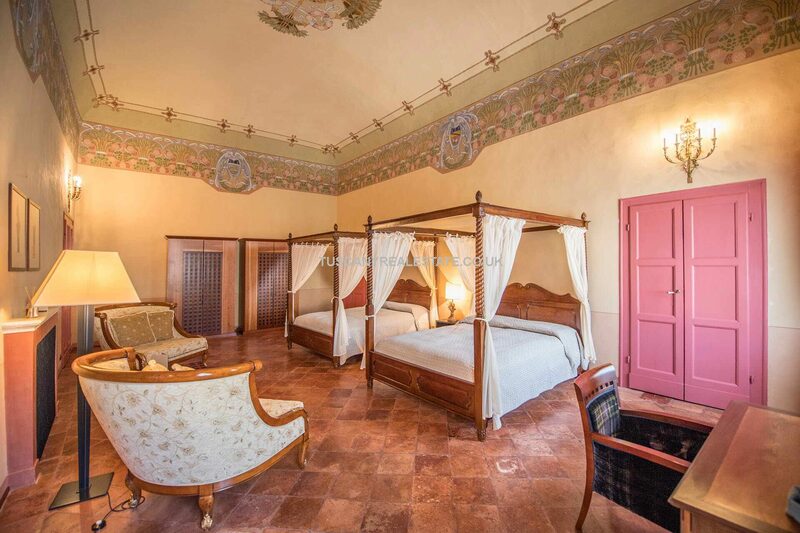 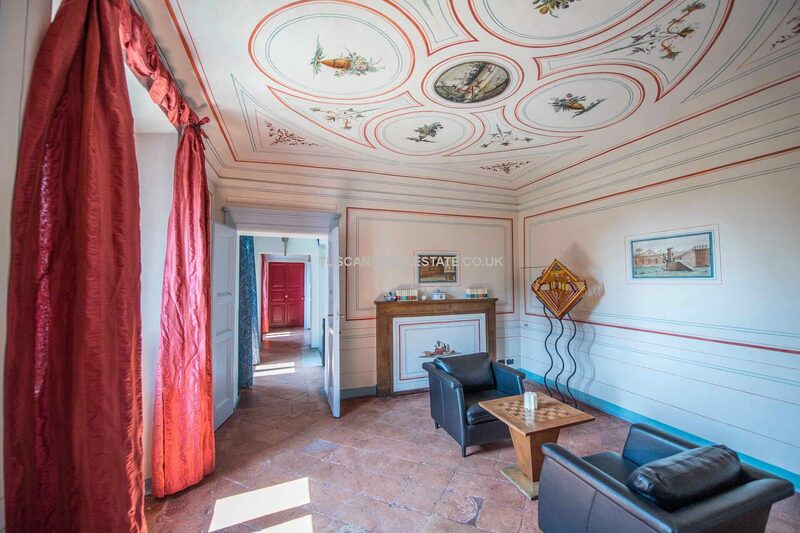 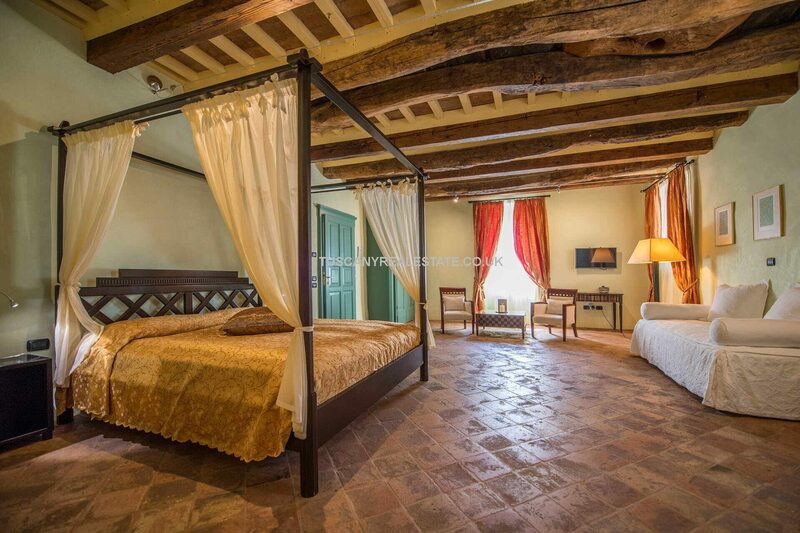 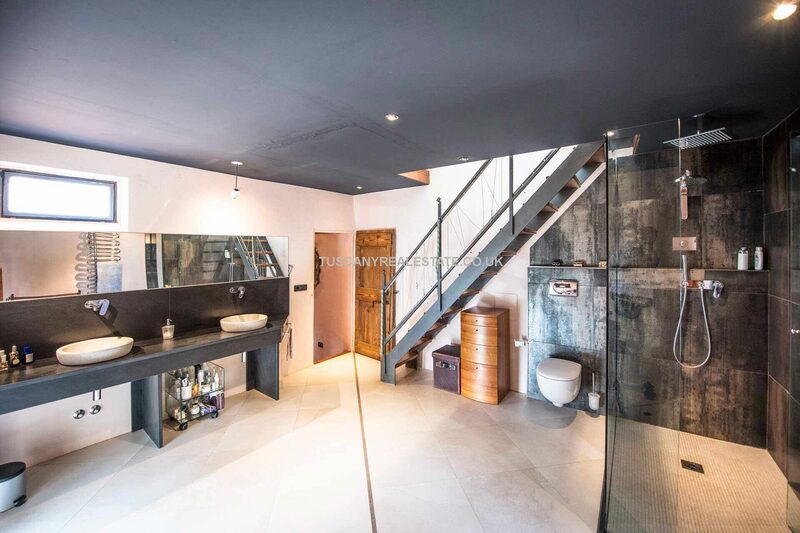 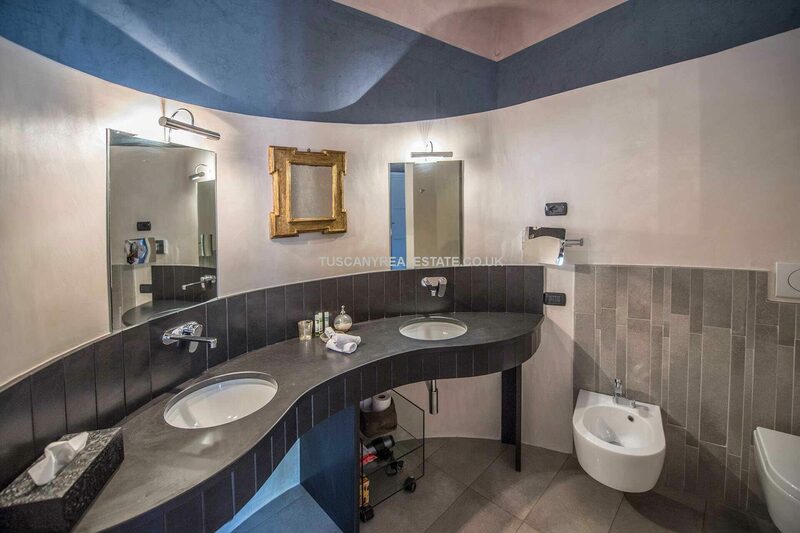 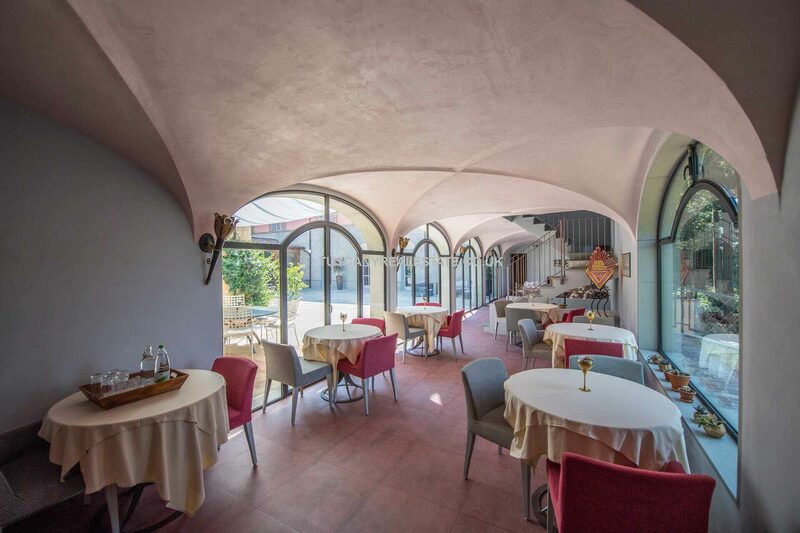 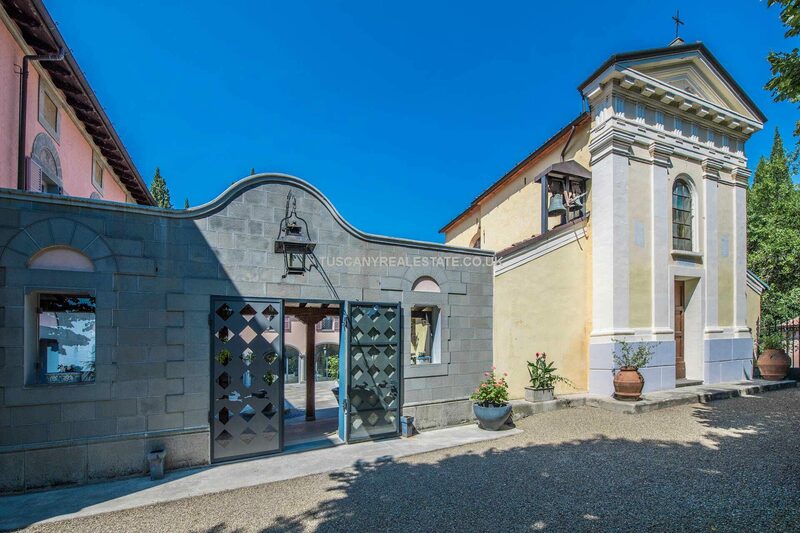 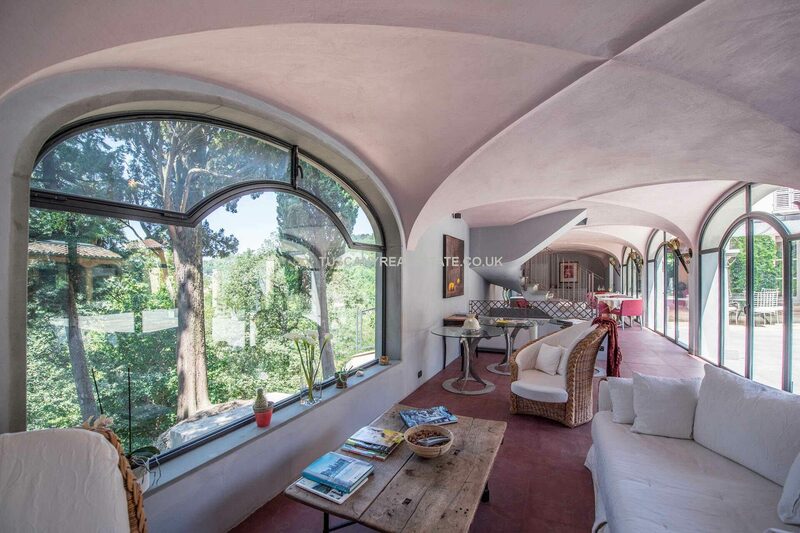 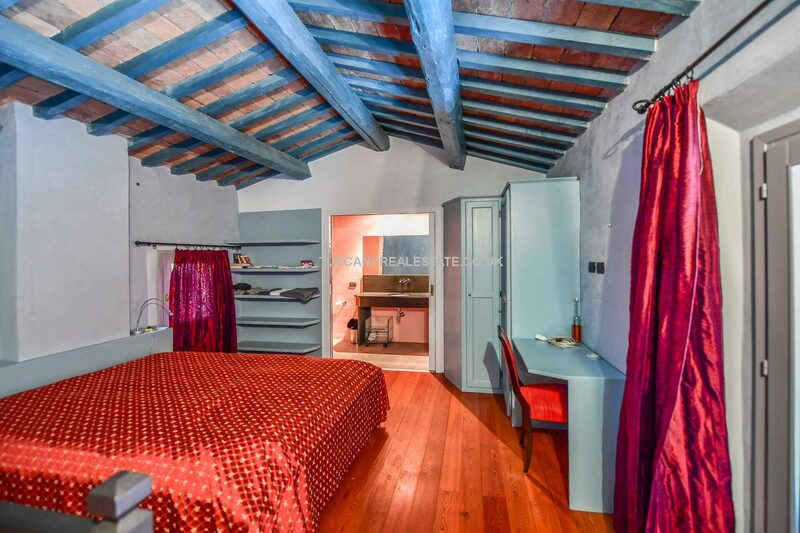 On the lower floor, there is a small wellness centre with solarium, sauna and Turkish bath with a starry ceiling, the former barrique / vaulted cellar, 70 sqm, now renewed and empty and usable for any use and a technical room for the works of the property. 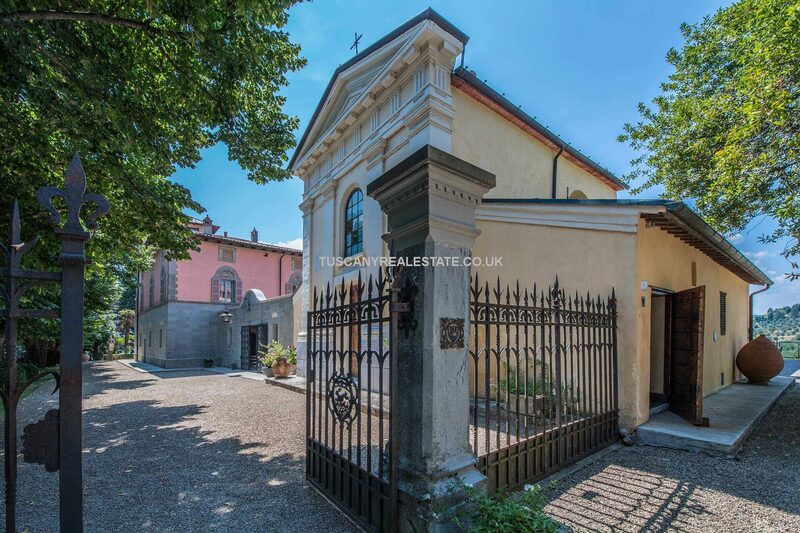 Connected with this portico, on the north side of the courtyard, the complex extends with the church (127 sqm). 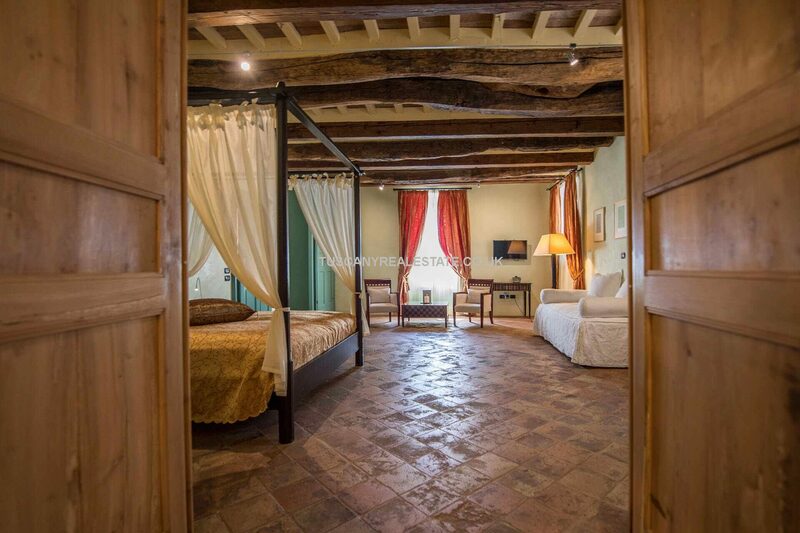 There is the “keeper” apartment, with a ground floor room and a bedroom with en-suite bathroom on the first floor. 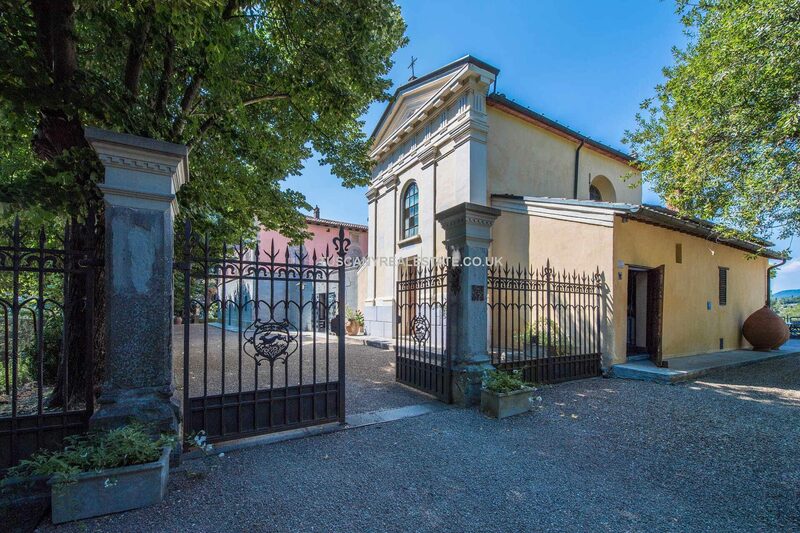 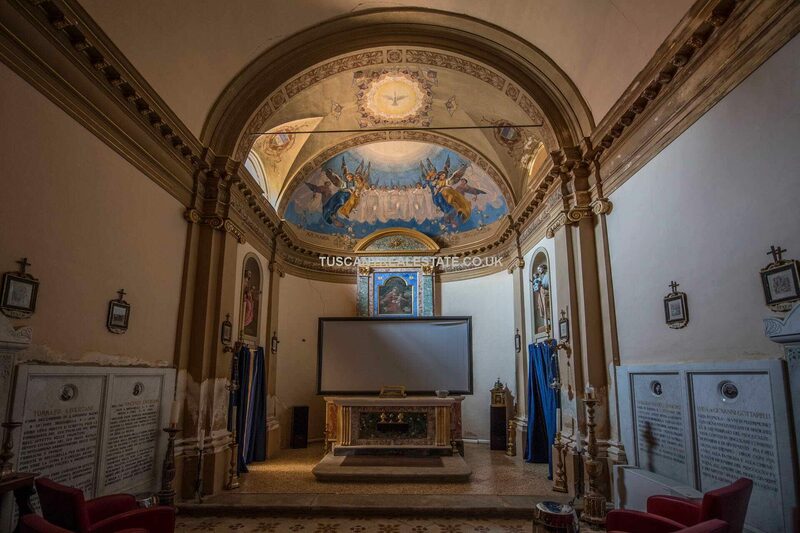 The same little church of the early eighteenth century has been almost intact to keep the spirit radiating, but at the same time has been equipped with a system that allows its use as a multimedia room with large screen and music in high quality. 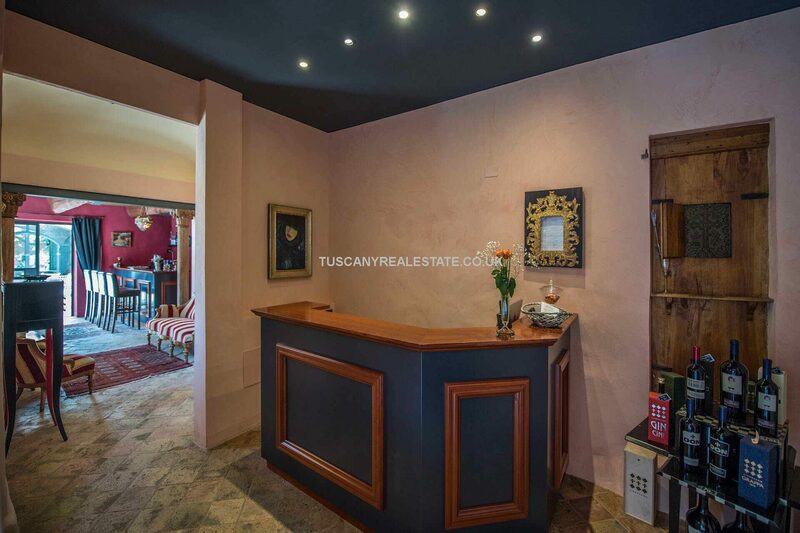 Today the sacristy houses the reception and a very welcoming bar with very warm colours. 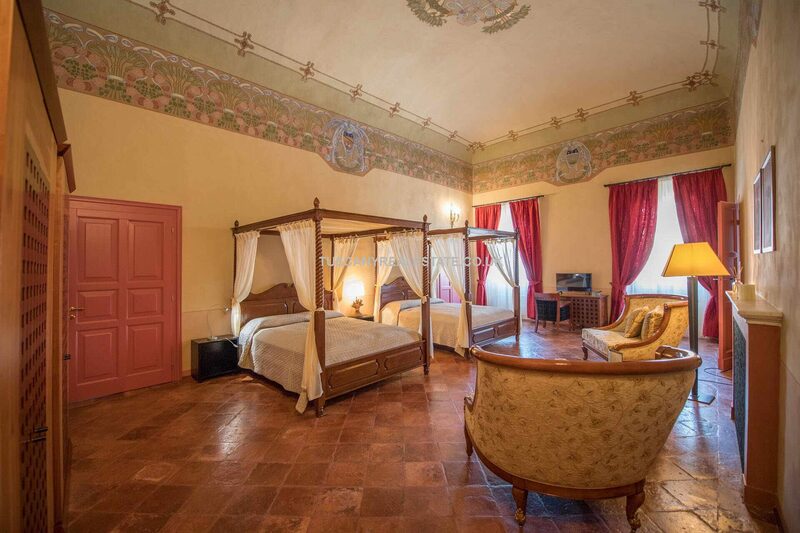 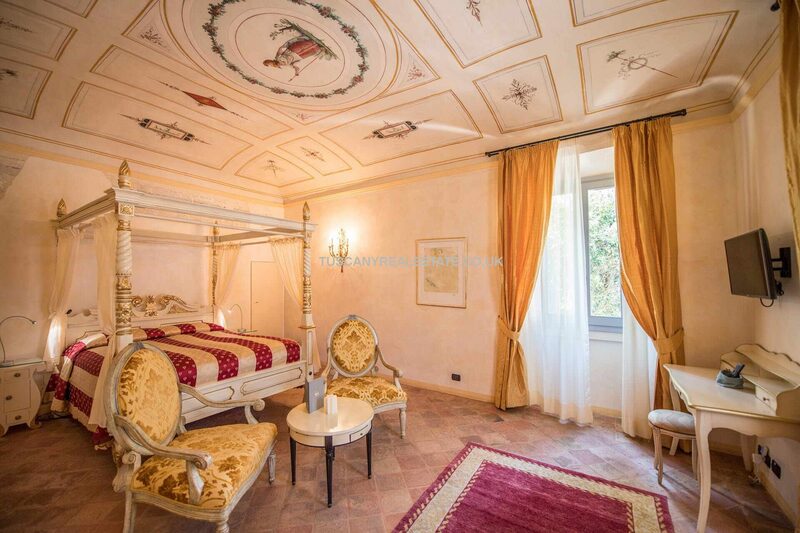 On the south side of the villa, in front of the Italian garden, we find the ancient limonia, carefully reconstructed and converted into a 72 sqm two-storey apartment with a bedroom, a large bathroom with an illuminated bathtub and a sitting room, with a large surrounded terrace. 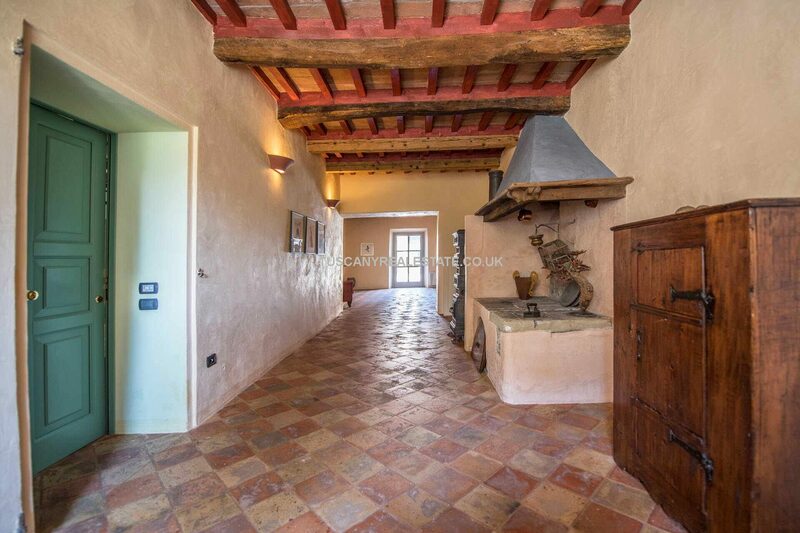 from olive trees, oaks and garden. 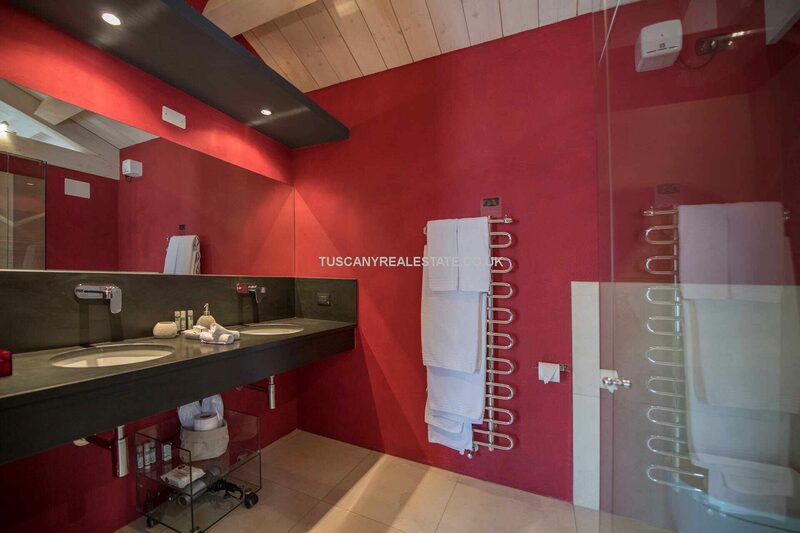 In the old barn, completely rebuilt (170 square meters), and until a year ago used for vinification, today there is a beautiful 104 sqm apartment with bathroom, fireplace and large floor-to-ceiling windows with panoramic views towards the sunset beyond the calanco. 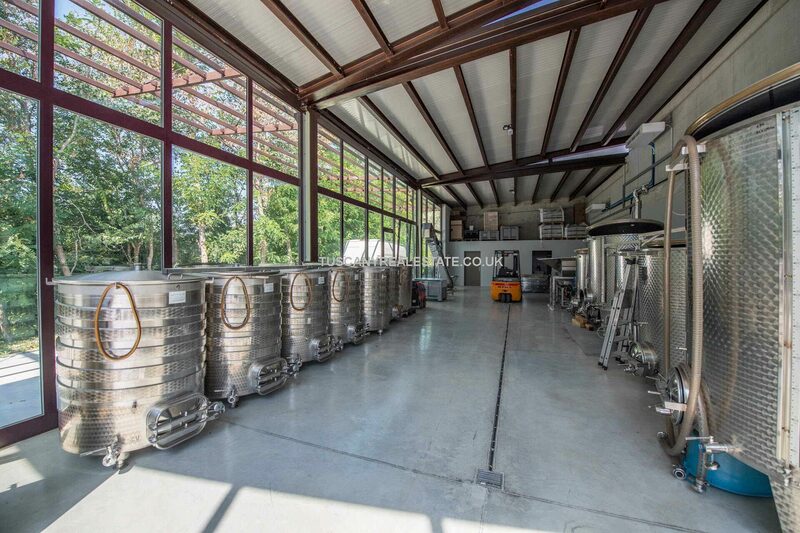 In the same building, there is also a warehouse and a garage. 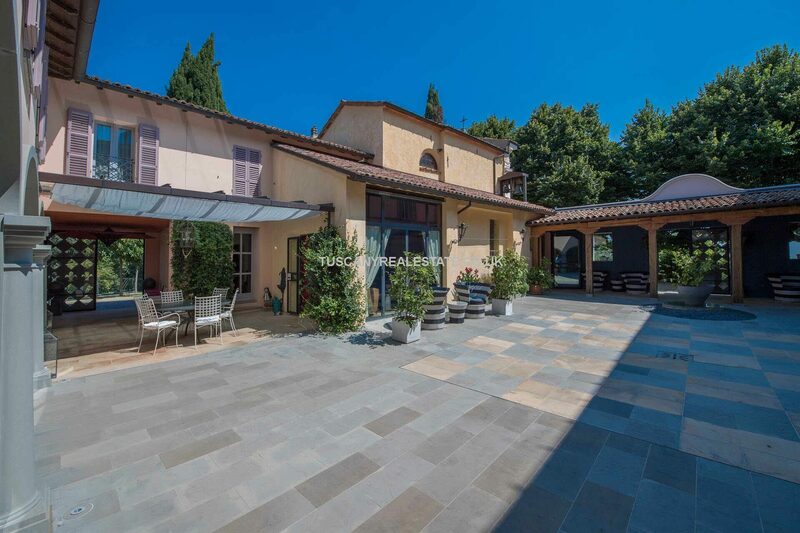 Overall, the total floor area (internal net) of residential buildings amounts to 1,387 square meters. 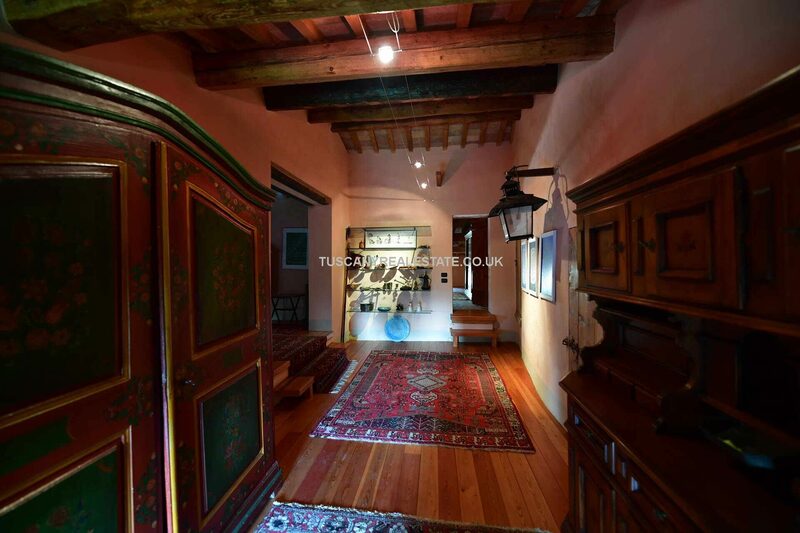 Everything is furnished with fine furniture, paintings and art objects in an interesting eclectic mix between modern and old. 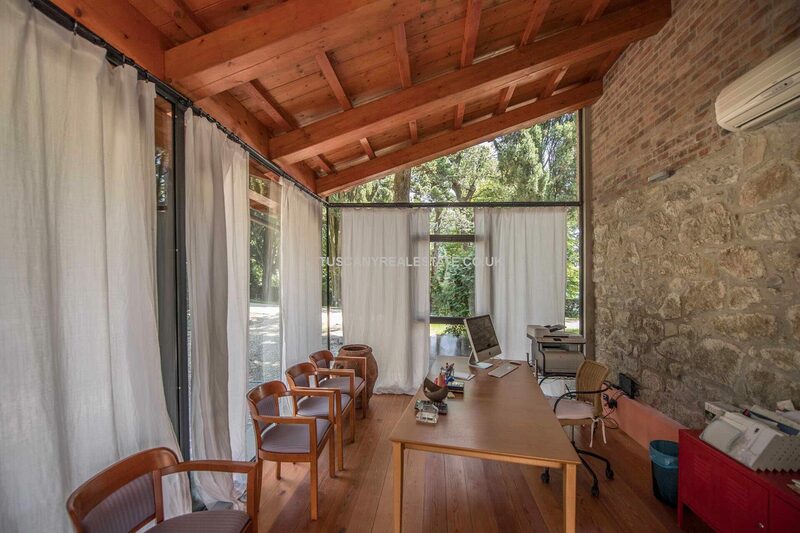 A store, a workshop and a garage complete the building (65 sqm). 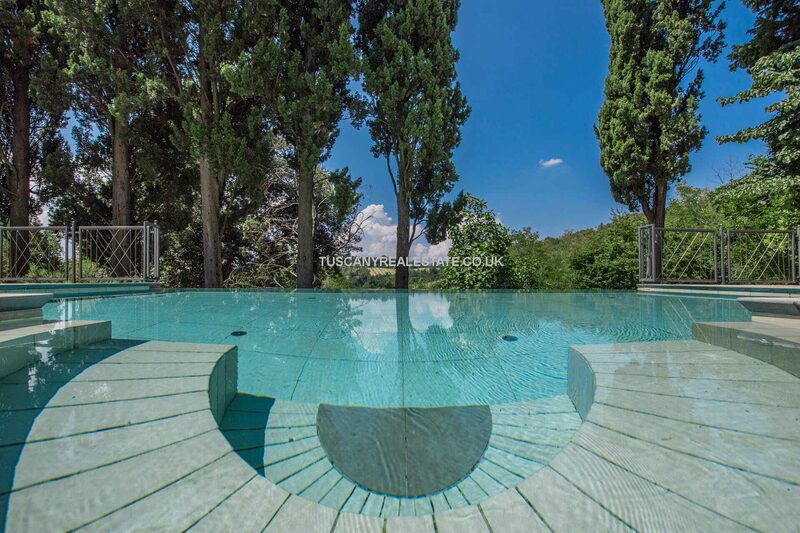 The net habitable internal surface area adds up to a total of 1,387 sqm. 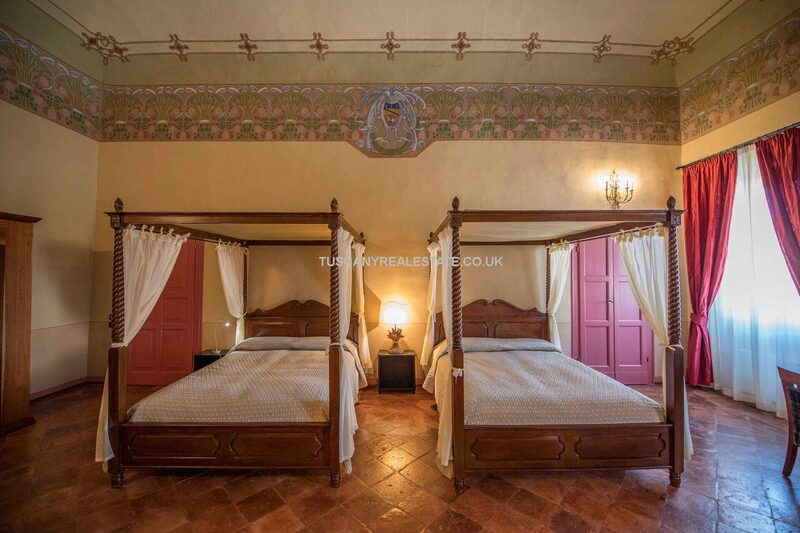 All interiors are furnished and fitted with precious furniture and fine art objects in an interesting, original mix of antique and modern. 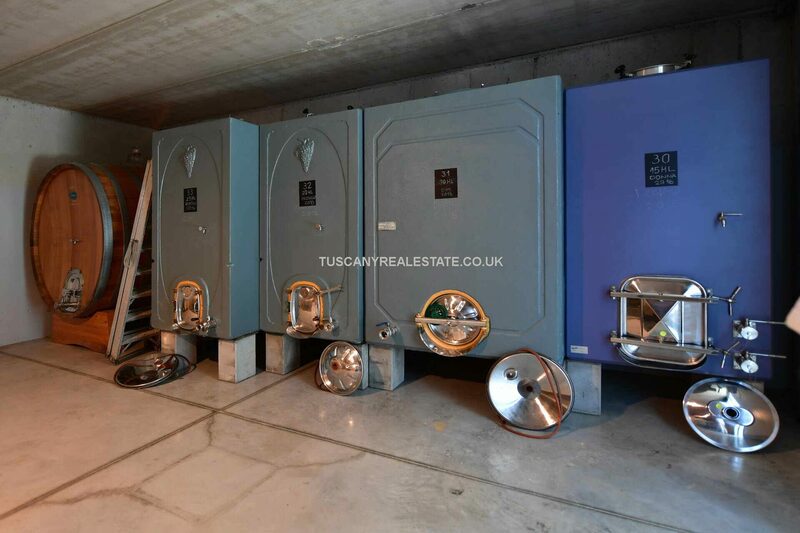 An intriguing feature and an absolute rarity is the ancient intact underground ice house with a diameter of 3.6 m and a height of 5.2 m.
A very modern basement winery (350 sqm) has been built from scratch (2017) and its size makes it possible to increase the production of 50,000 bottles by purchasing additional grapes. 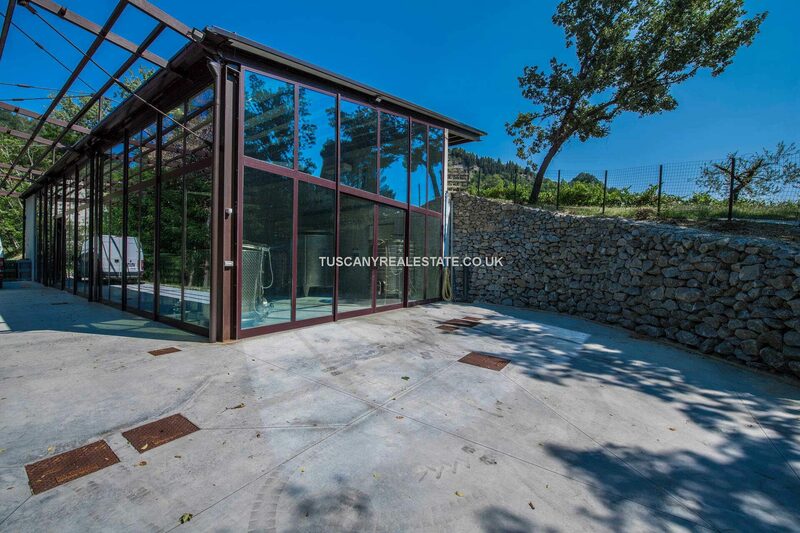 Near the vineyards, there is a small tool shed (75 sqm), made of wood on a concrete slab. 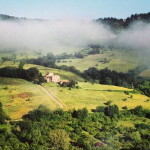 The property is made up of 32.5 hectares of land, all worked and cared for following a strict certified organic method. 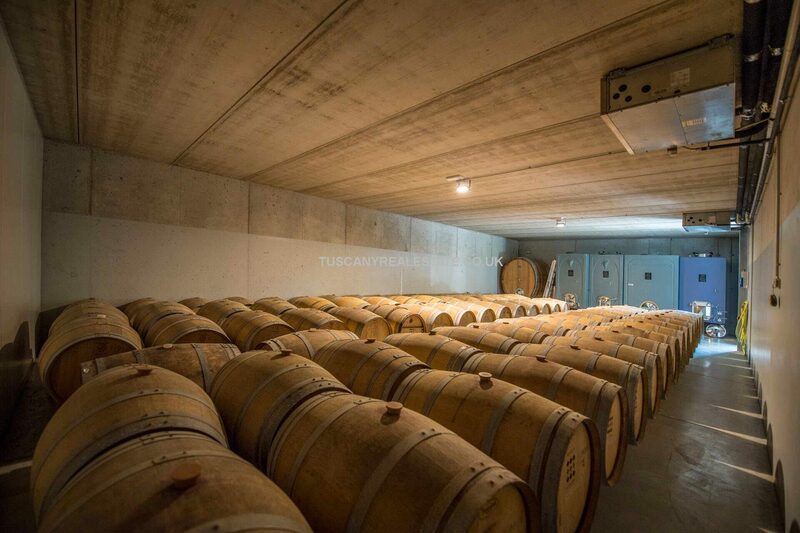 The modern, high-density vineyards of 3.4 ha have an average age of 15 years and actually produce an average of 16,000 very fine bottles with great structure and personality. 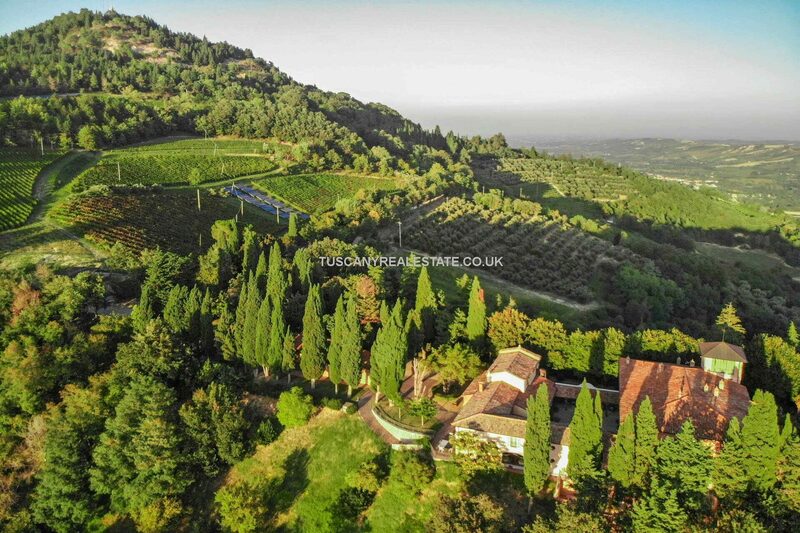 An olive grove of 3.1 ha consists of approx. 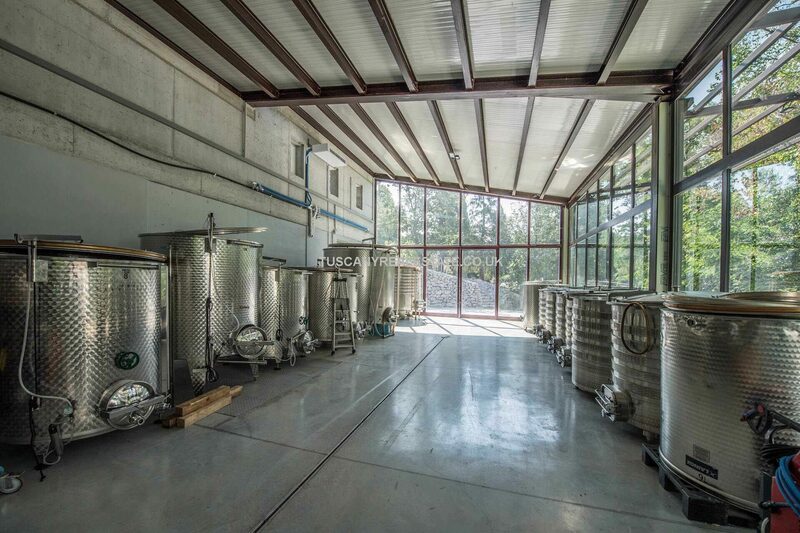 250 centennial trees an yield an average of 370 litres of outstanding organic extra virgin olive oil. 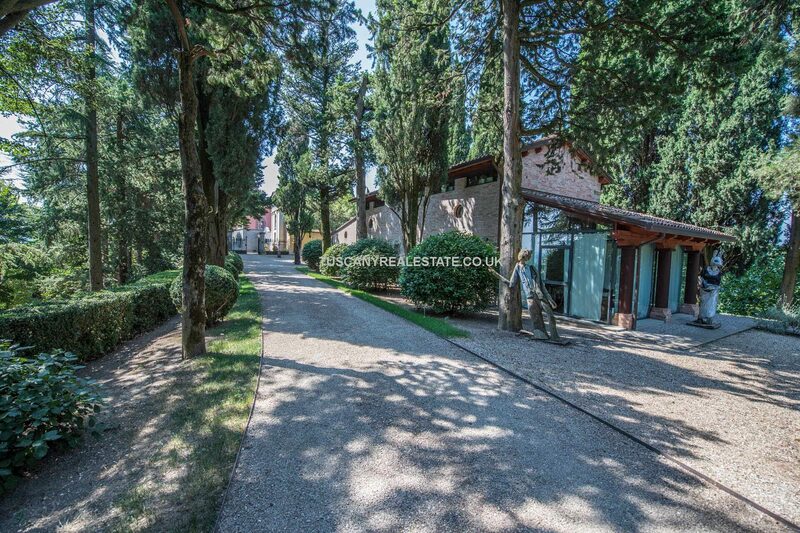 The access and the environment of this country home are bordered with century-old cypress, linden and oak trees and a five hundred metres long alley made up of linden, cedars and cypresses lead to a viewing point called the Belvedere. 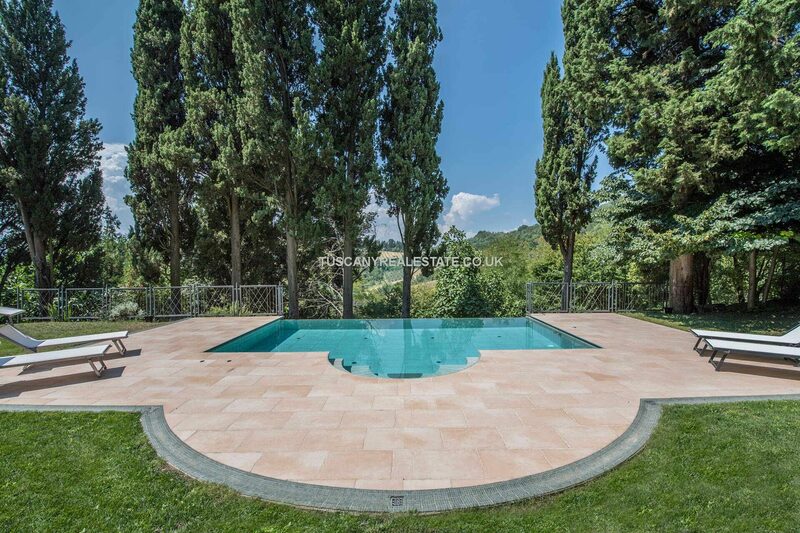 The small but very fine swimming pool of 8 x 5 m has an Infinity border that gives you the impression of flying over the trees. 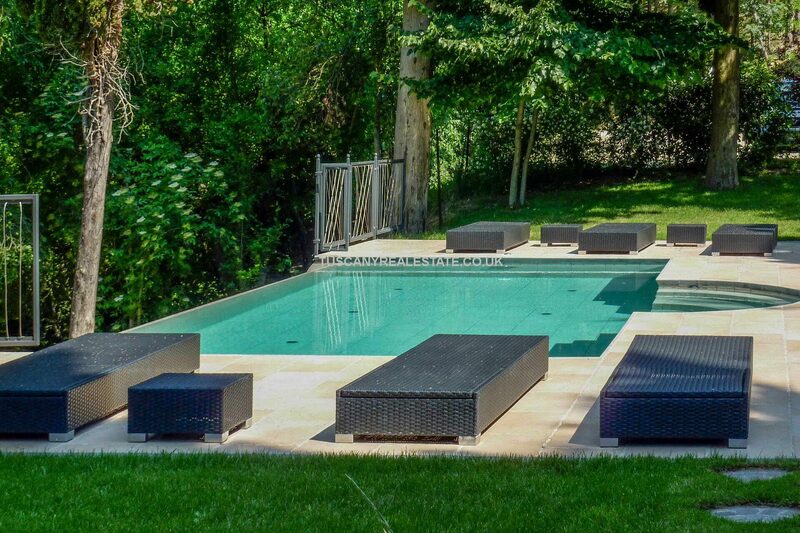 Massage jets and a counter current swim device increase the enjoyment of this relaxing area. 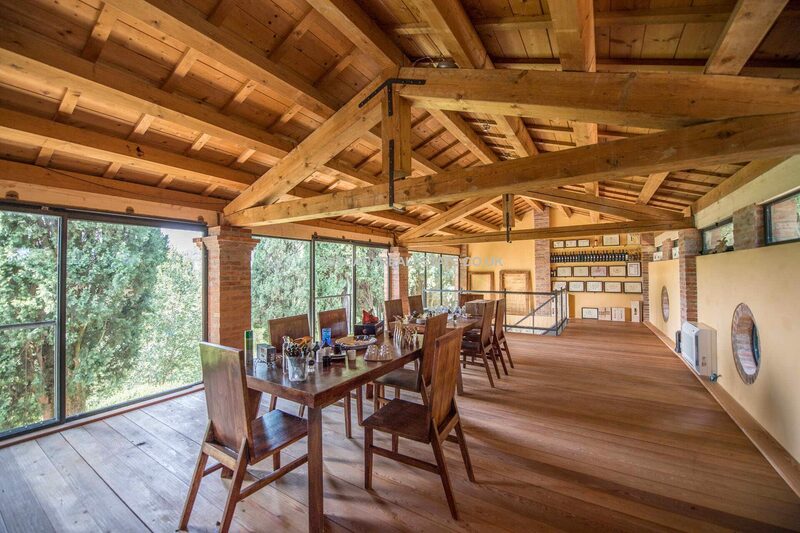 The organic farm is also fitted with two photovoltaic systems, installed respectively in 2008 and 2011. 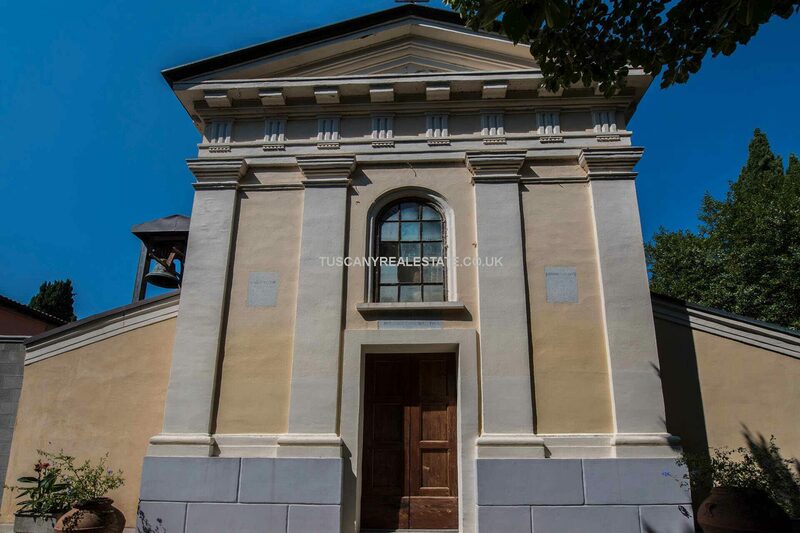 The former capable of generating up to 48.6 kWp of power, the latter generating up to 19.8 kWp. 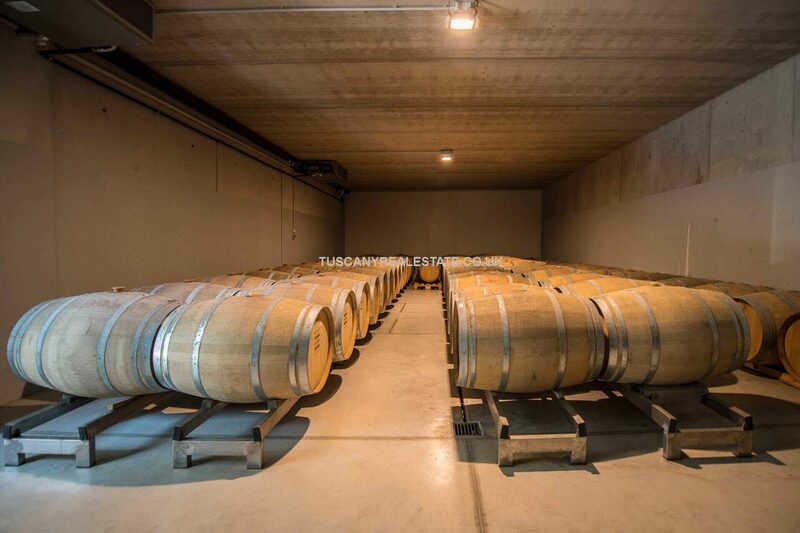 Together, they provide enough energy for the whole operation. 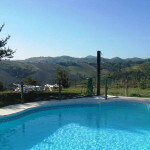 There is a governmental incentive of approx. 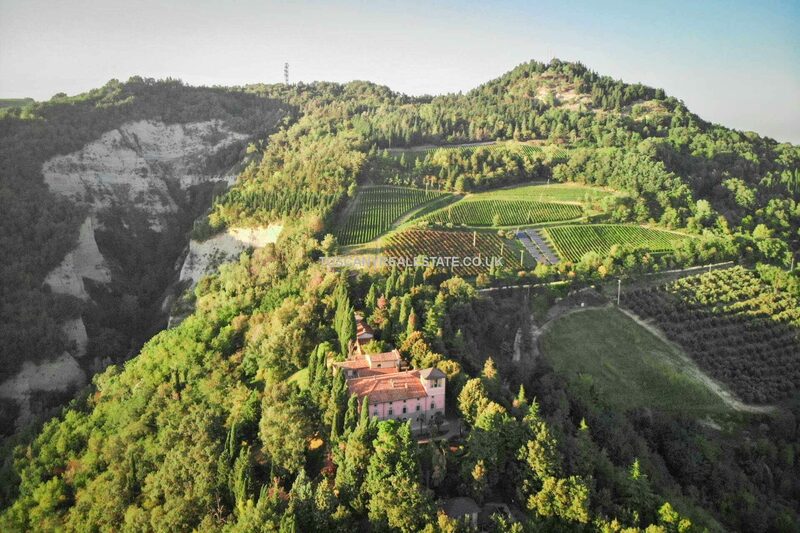 € 40,000 / year for another ten years running for producing renewable energy! 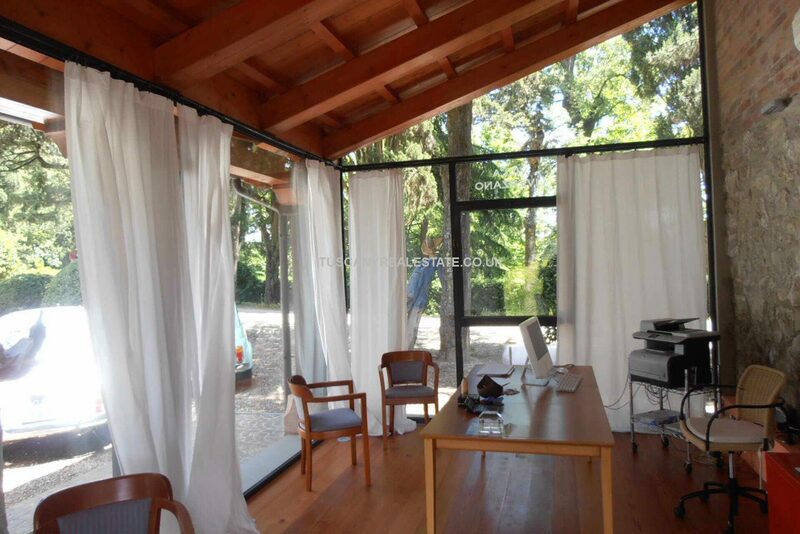 Moreover, the overproduction of electrical energy is sold back for a further income. 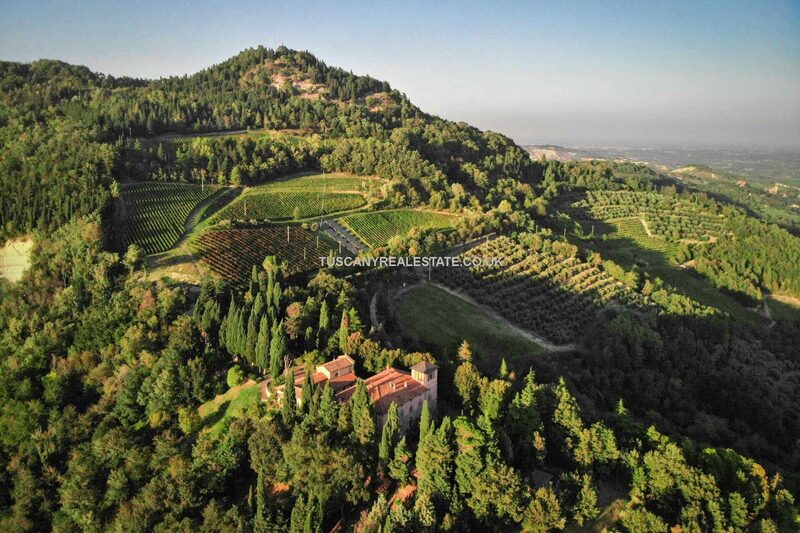 The wine labels are eyecatching and all the brands are registered in Italy, Switzerland and some EU-wide. 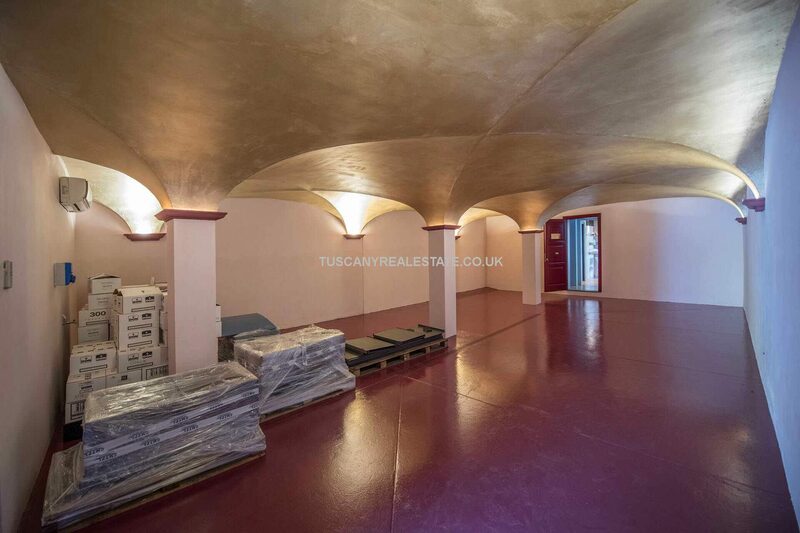 The cellar currently contains approx. 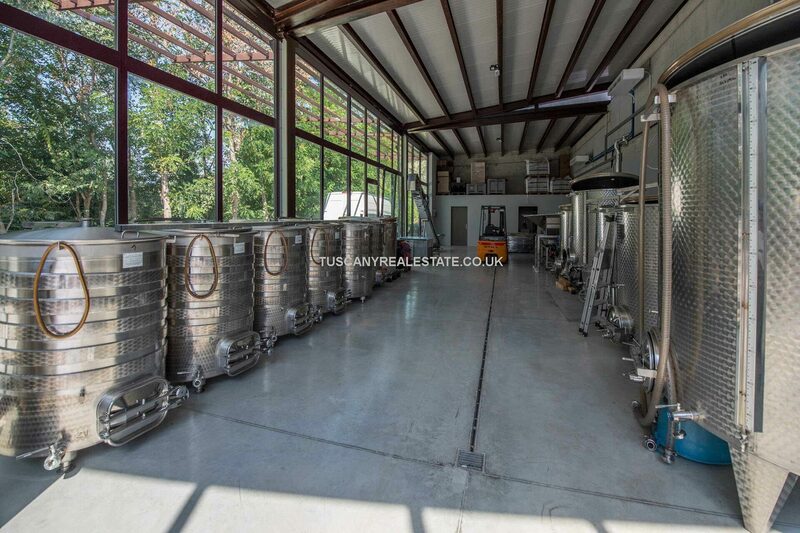 30,000 bottles of wine ready for sale, while a further 380 hl of cask wine is ageing in barriques and concrete tanks. 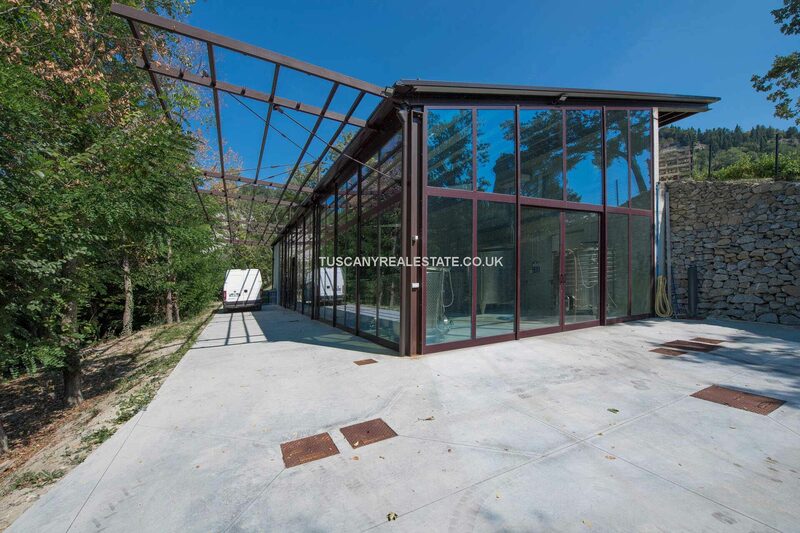 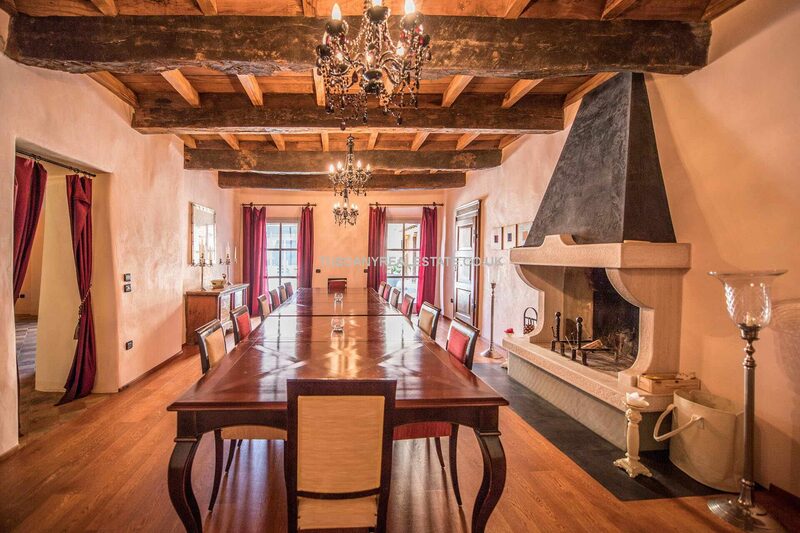 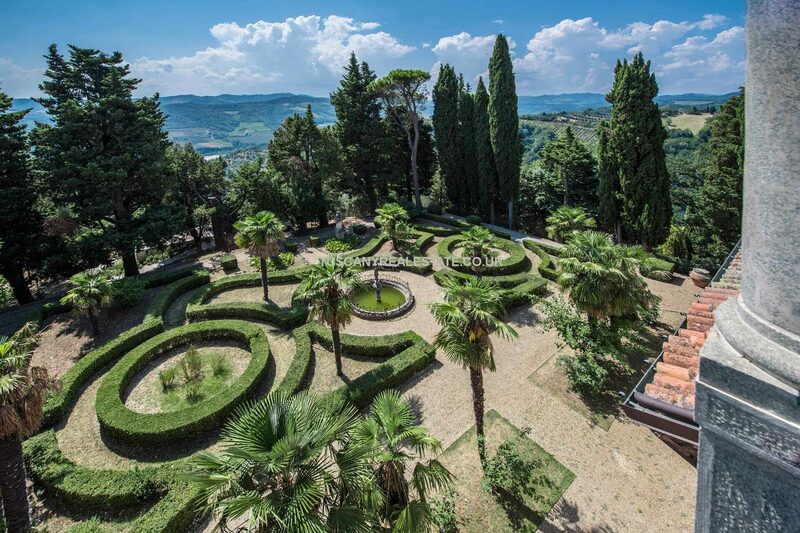 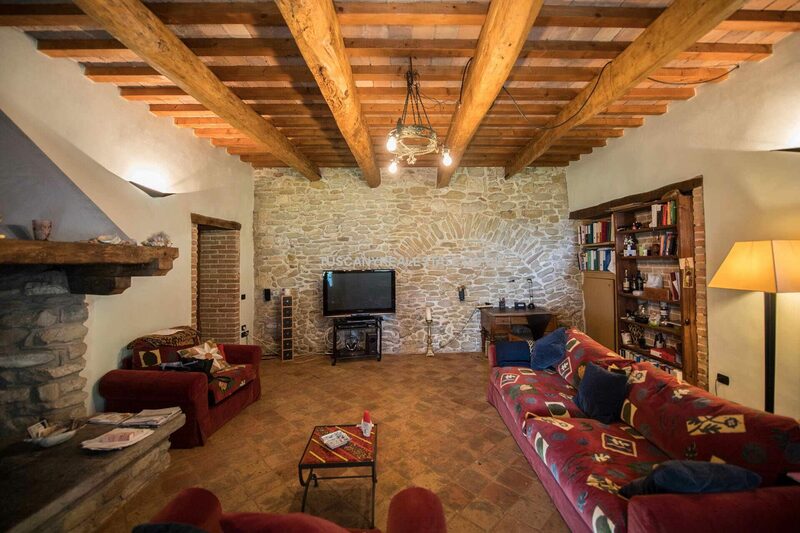 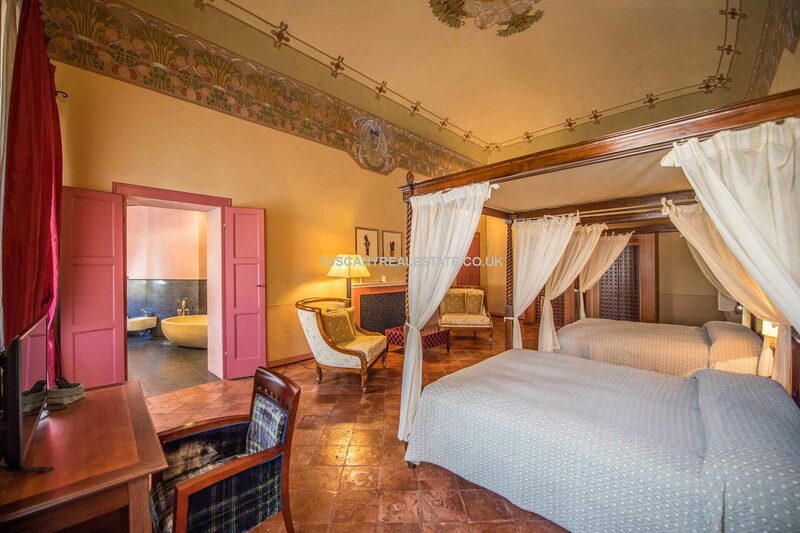 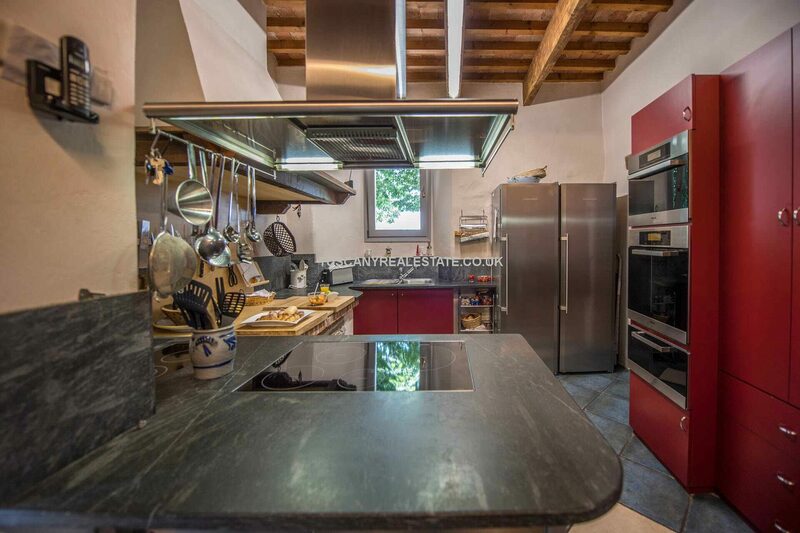 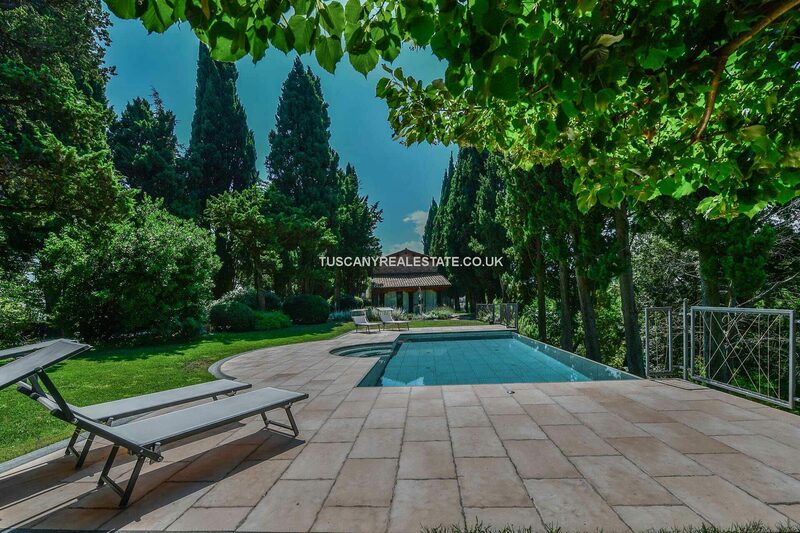 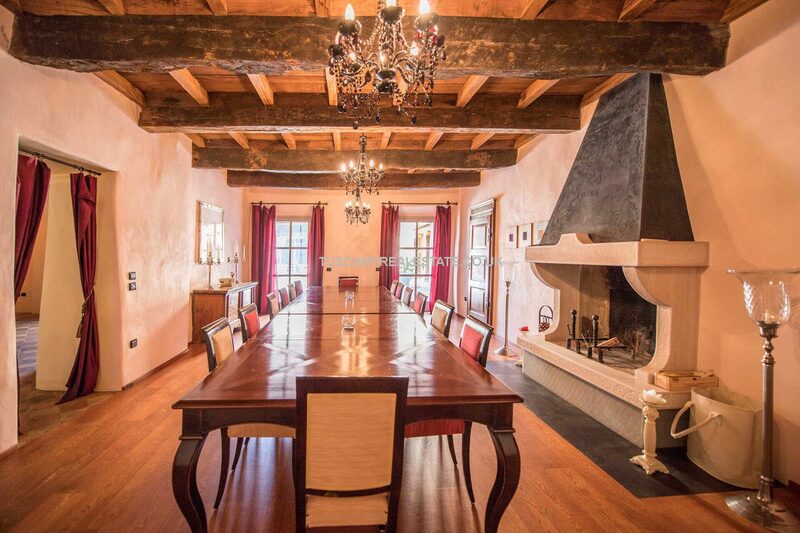 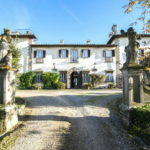 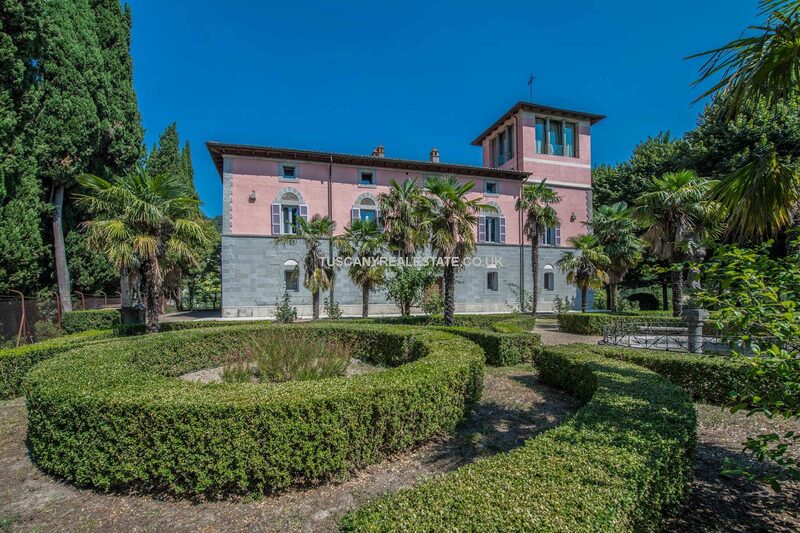 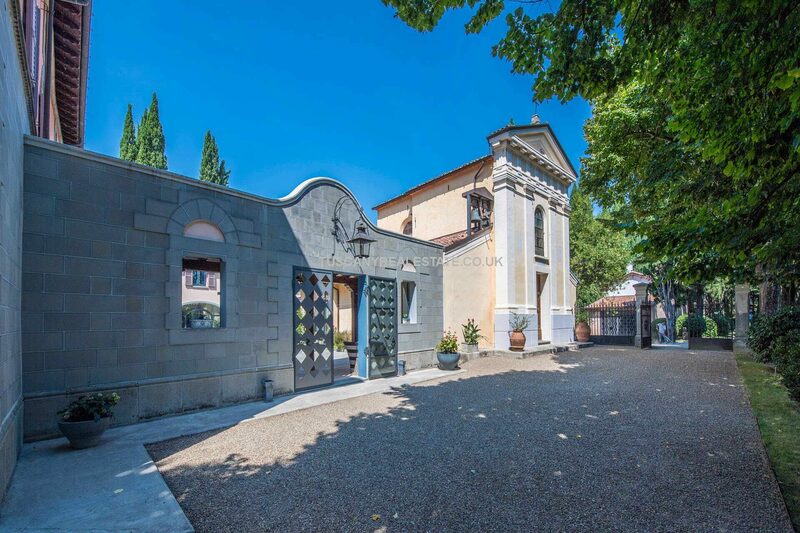 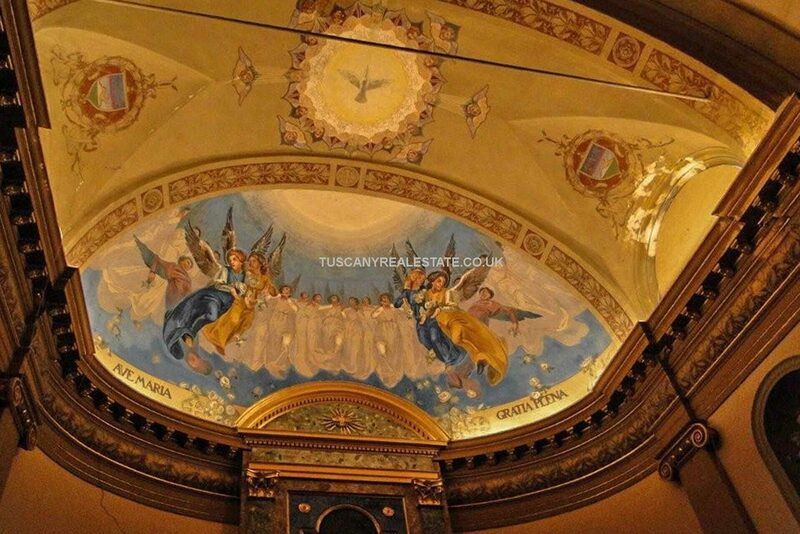 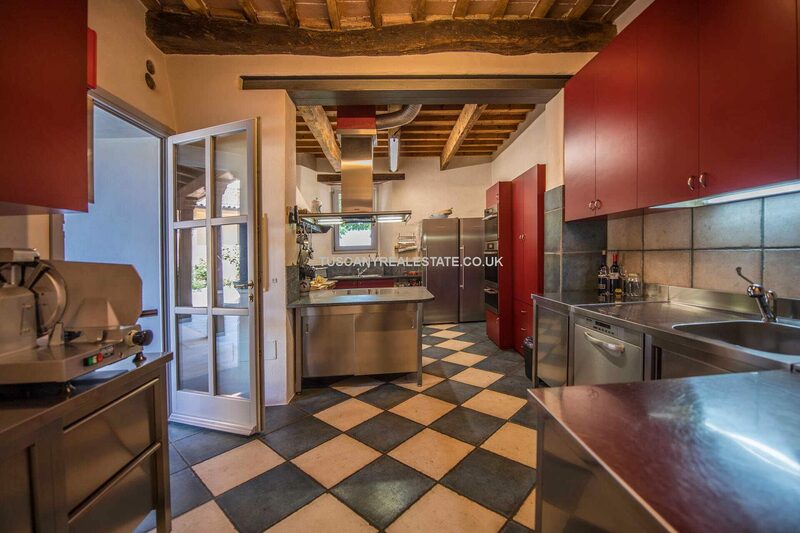 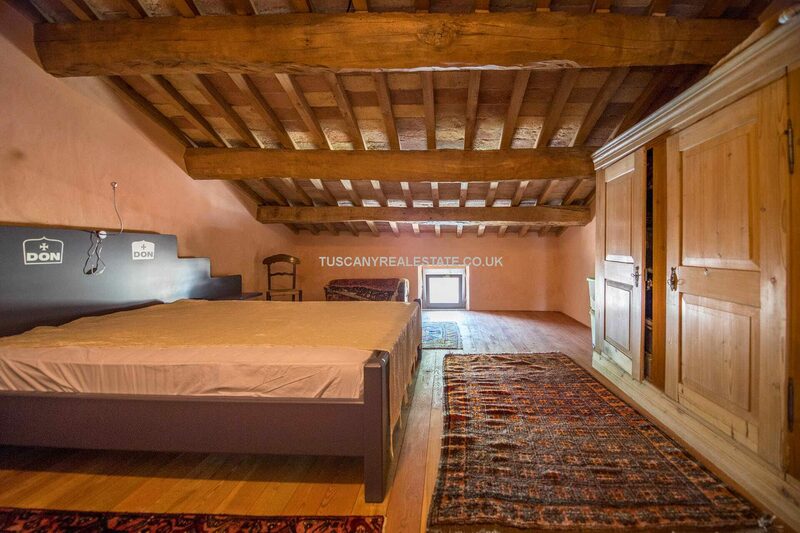 This Italian organic farm and wine estate is in excellent condition and perfectly operating both in the agricultural and in the receptive aspect. 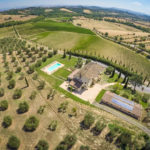 As an agricultural company, the estate takes advantage of all the facilities provided for agriculture, such as flat-rate taxes based on the cadastral income without the obligation of declaring income.